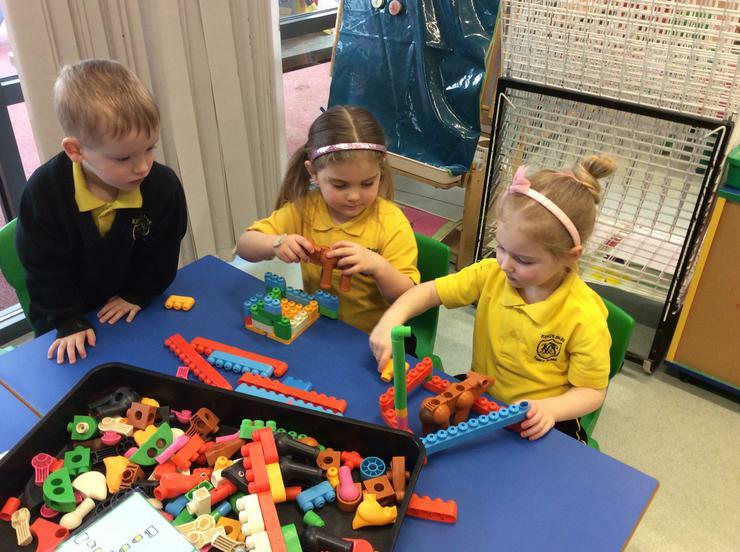 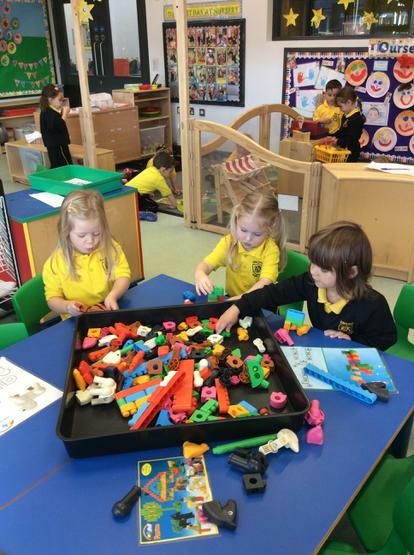 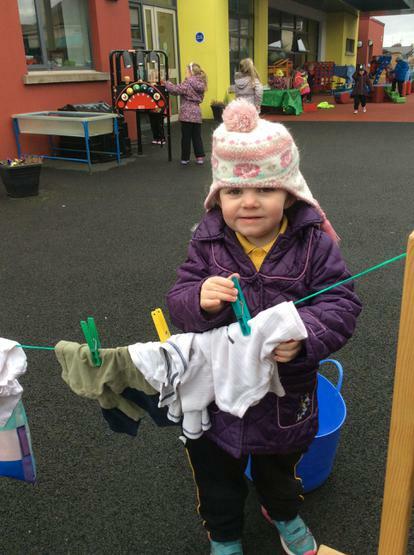 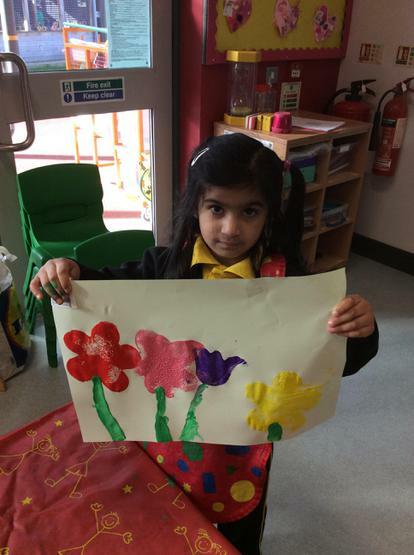 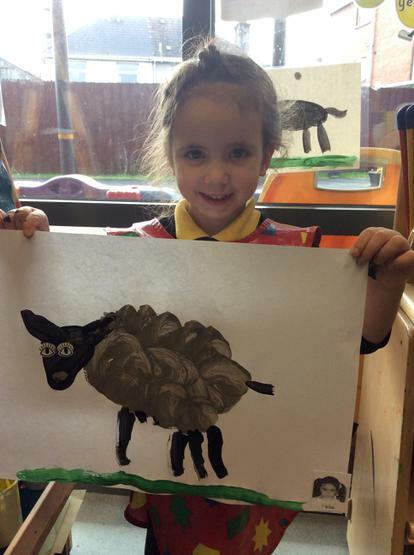 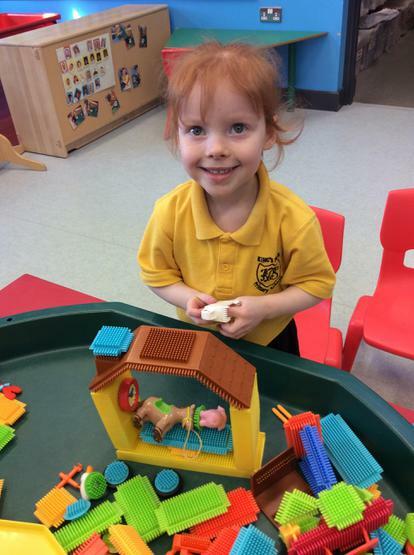 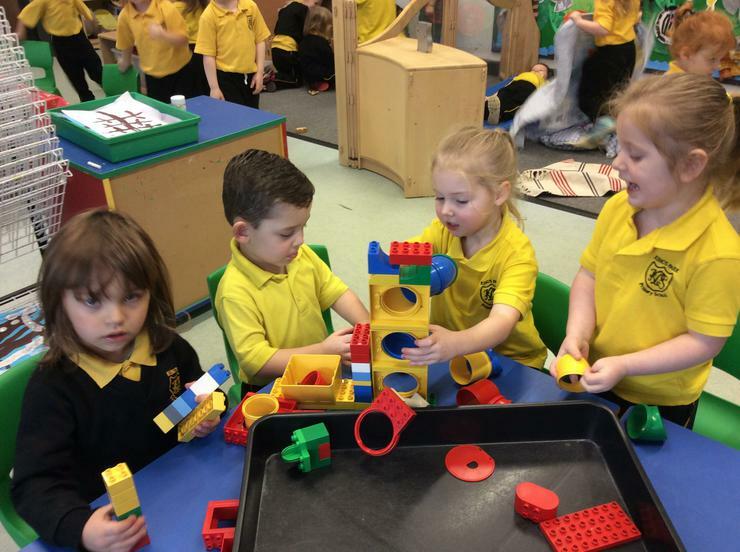 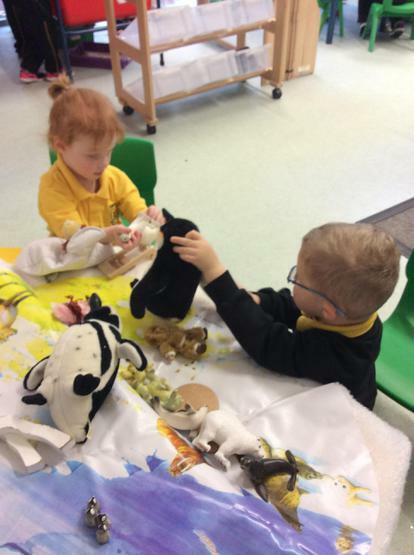 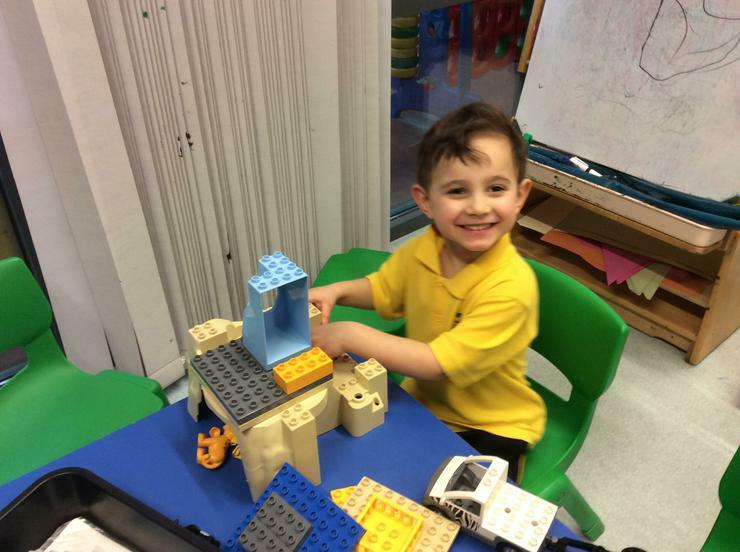 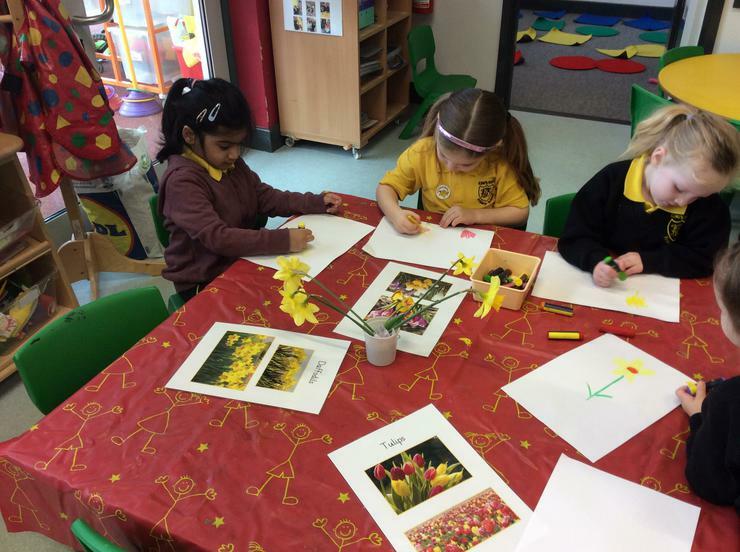 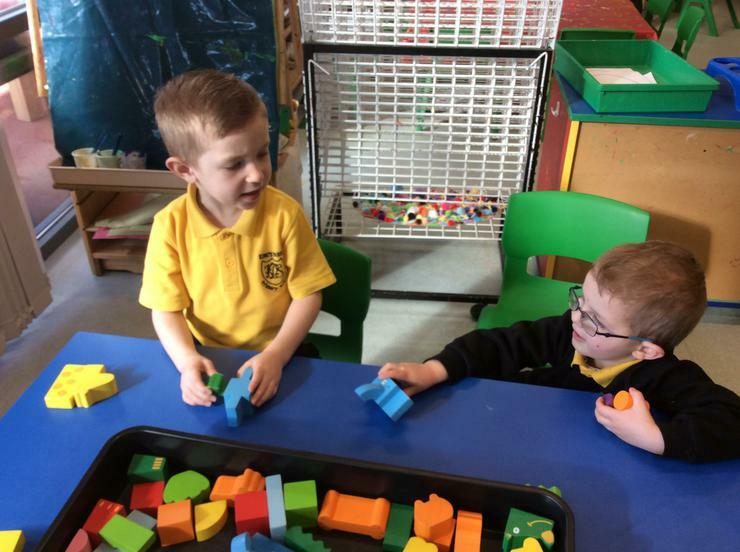 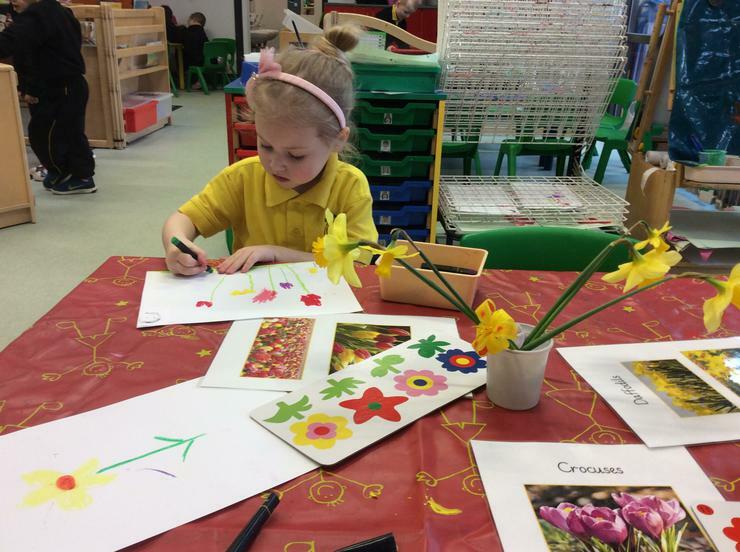 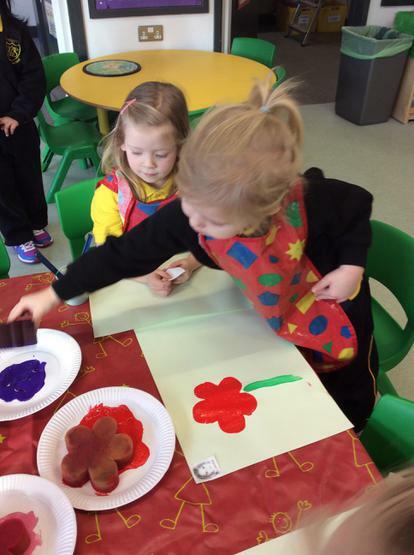 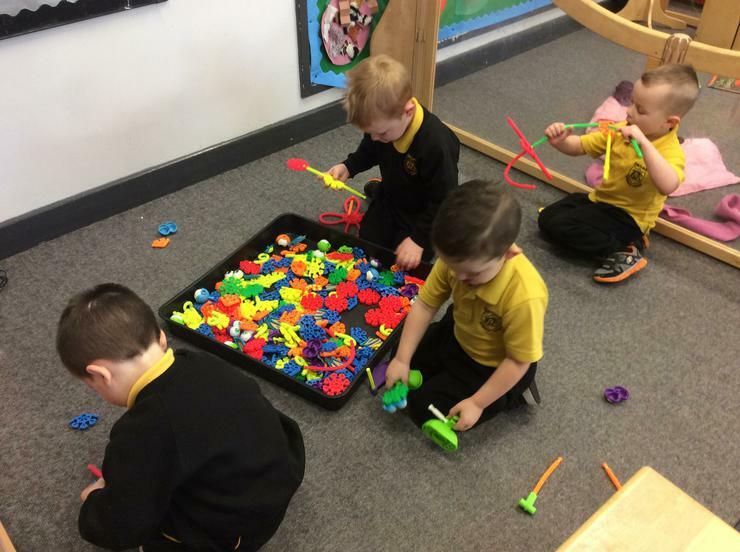 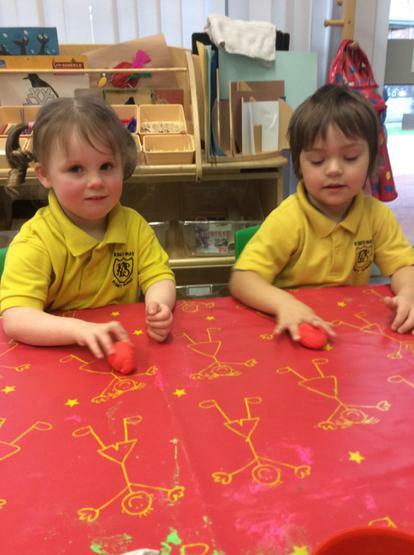 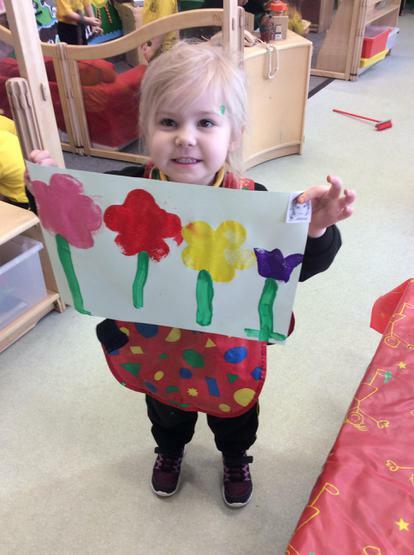 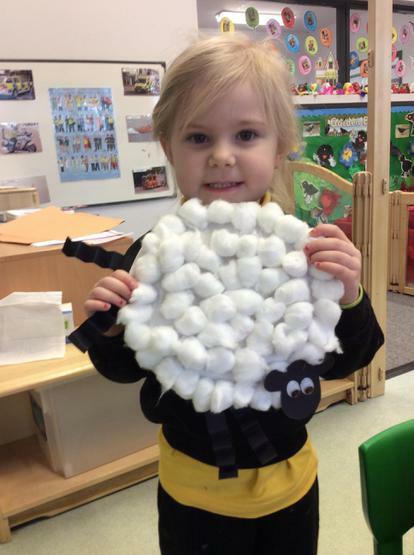 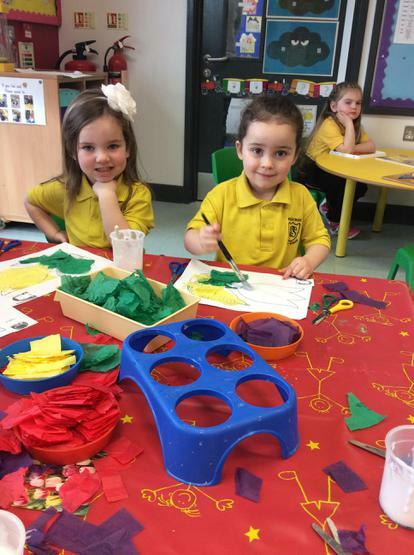 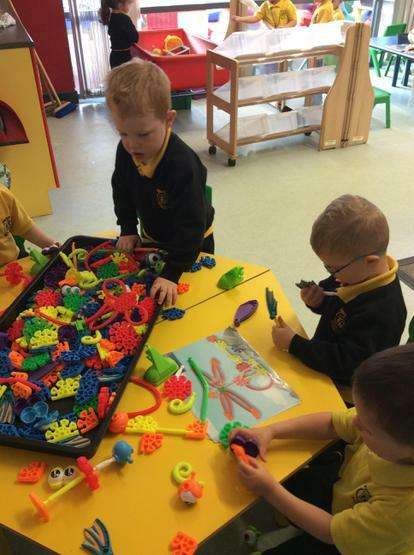 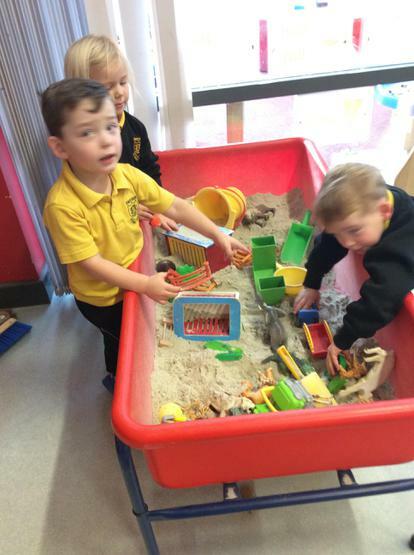 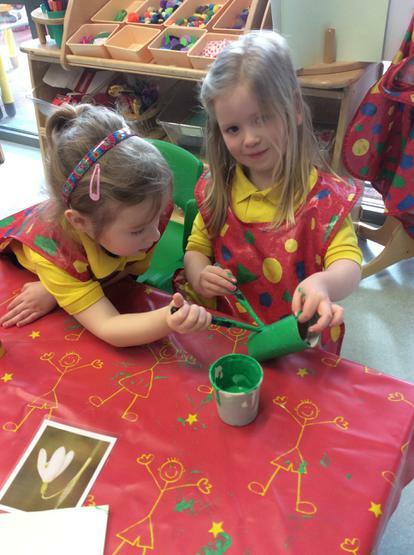 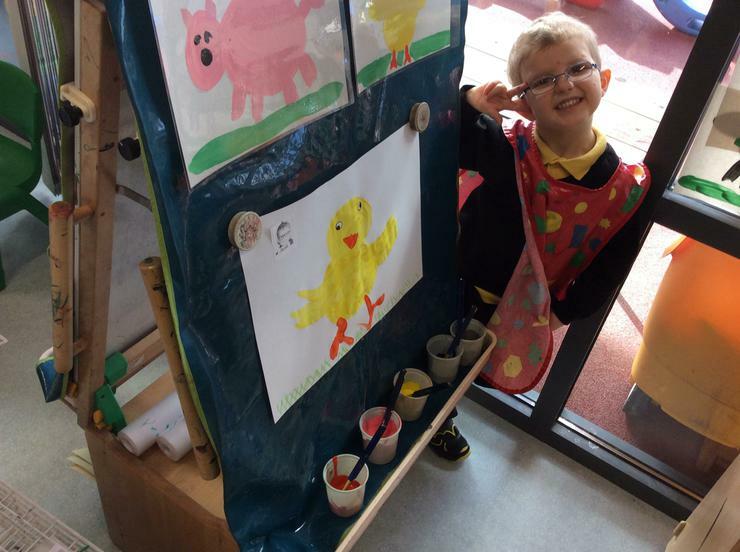 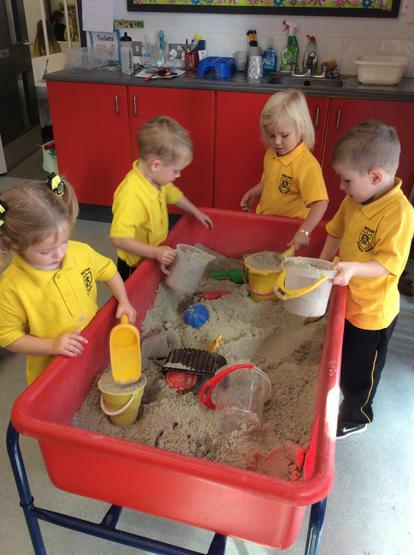 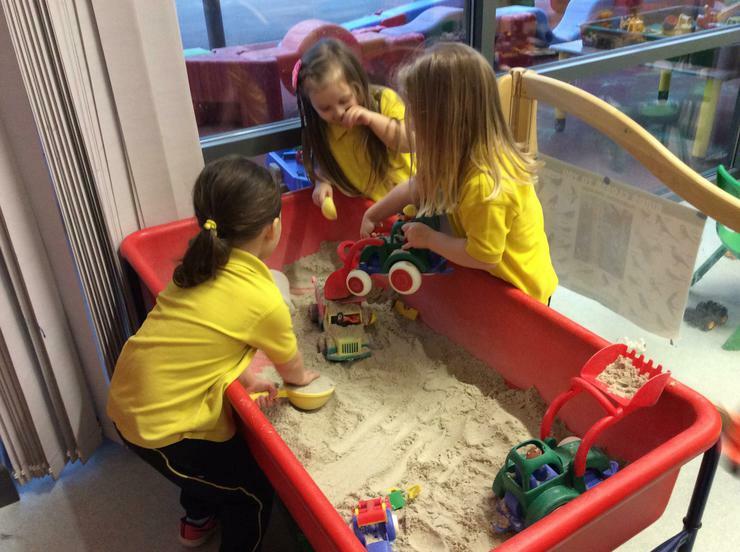 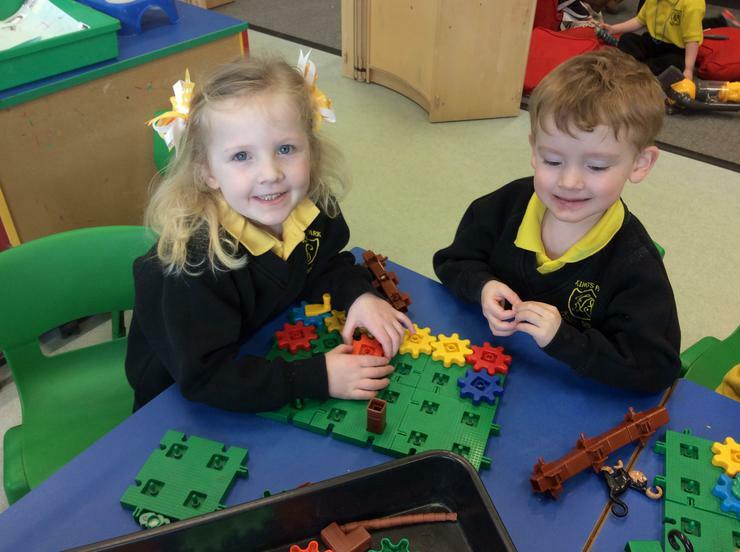 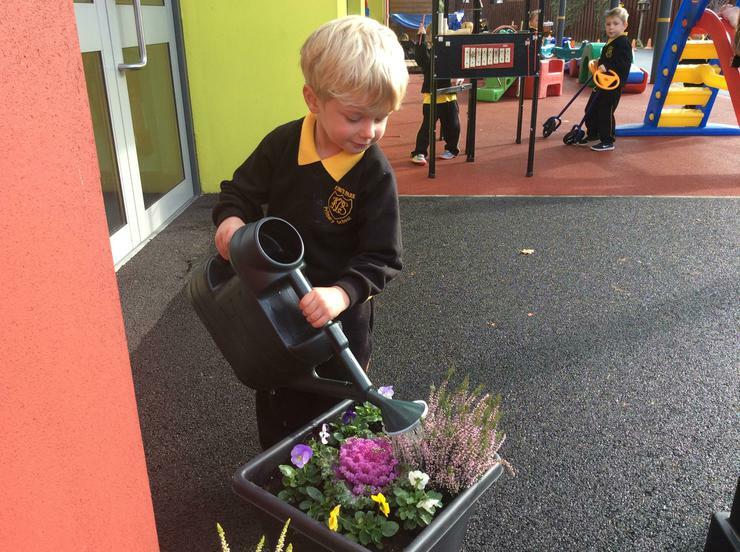 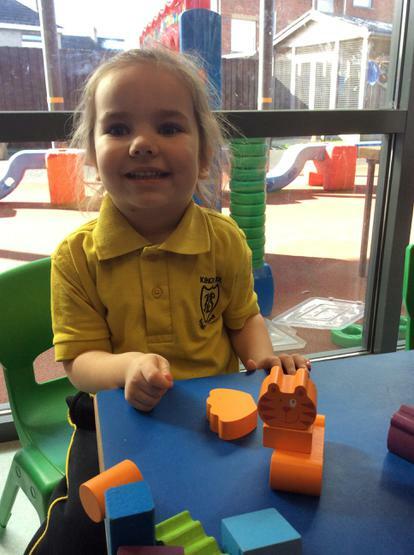 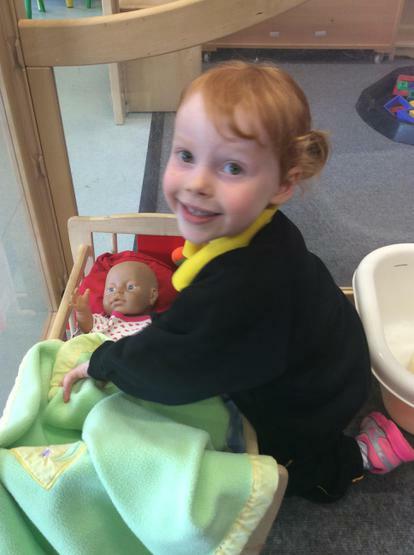 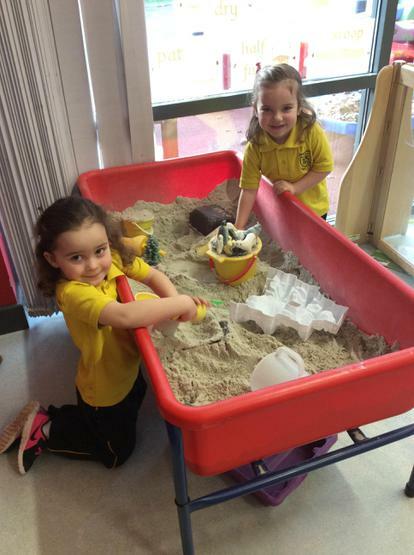 During the month of March in Nursery we will be finding out about Spring, the farm and Easter through our play activities and our Community Time learning. 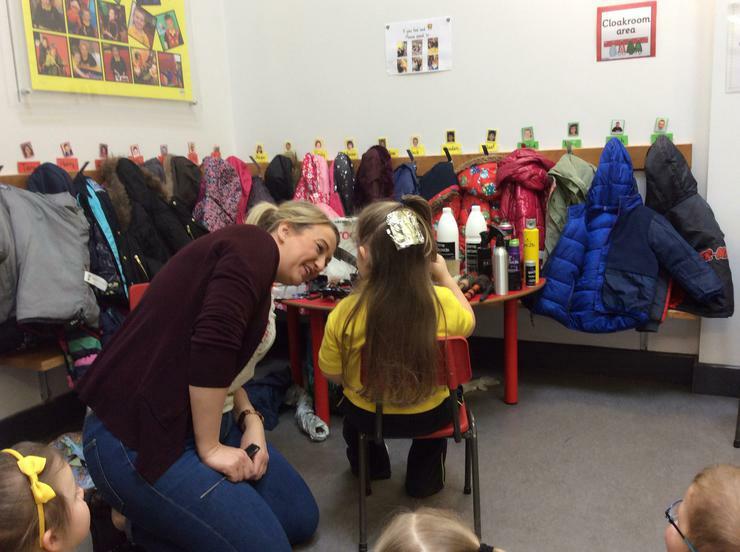 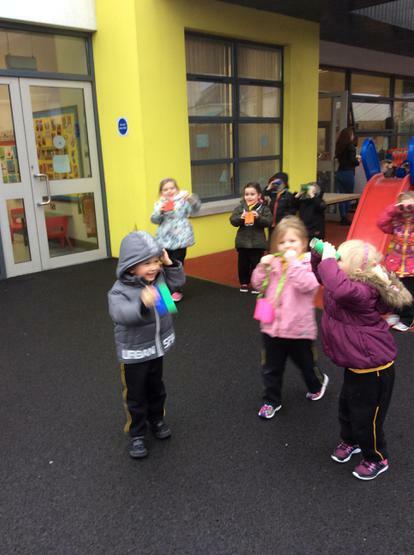 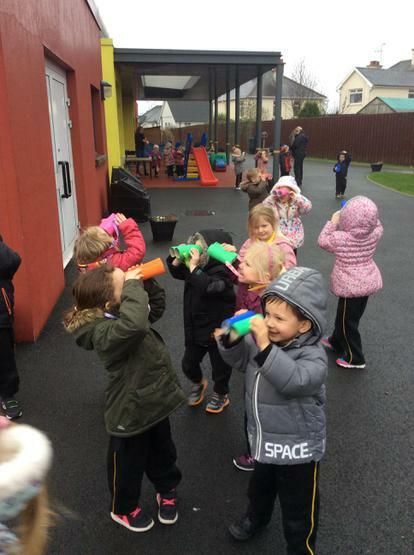 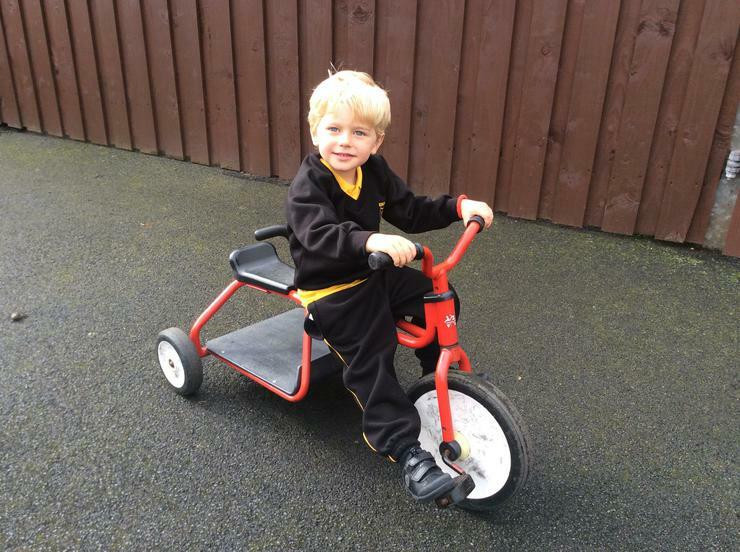 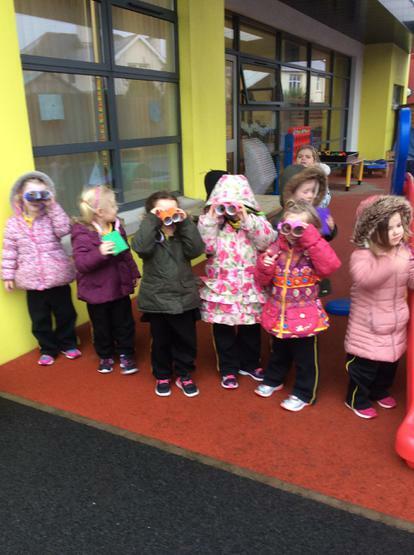 We also enjoyed a visit from Streamvale Farm and are looking forward to our Spring walk in Lurgan Park soon. 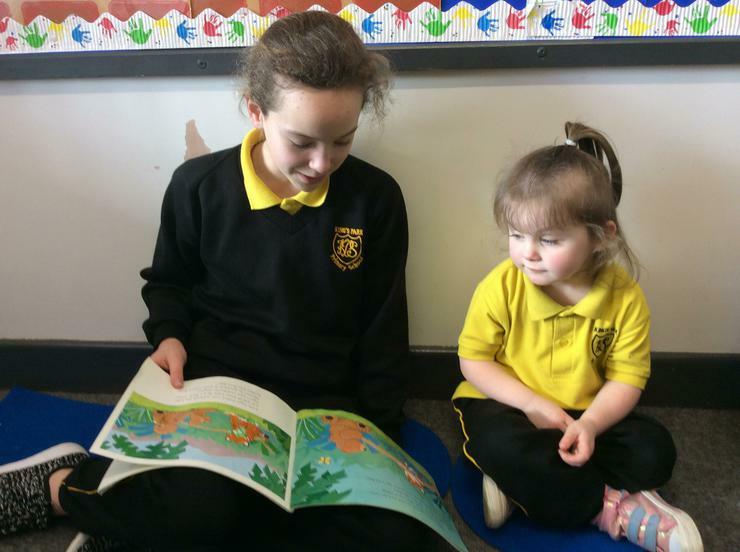 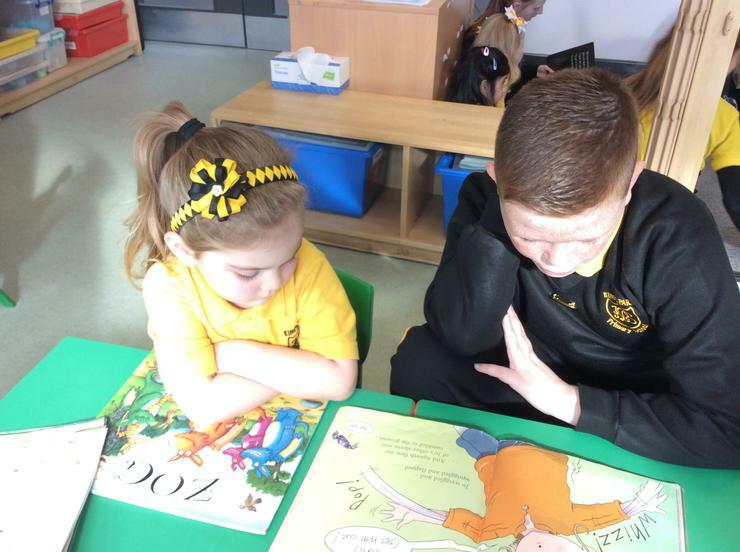 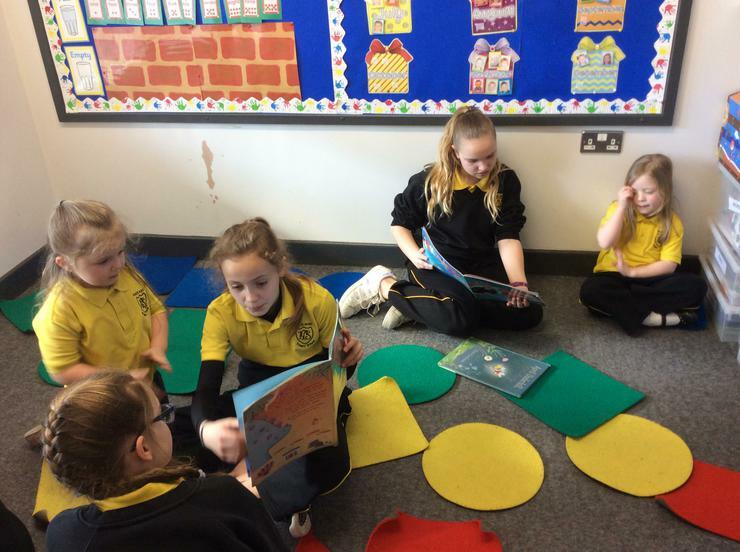 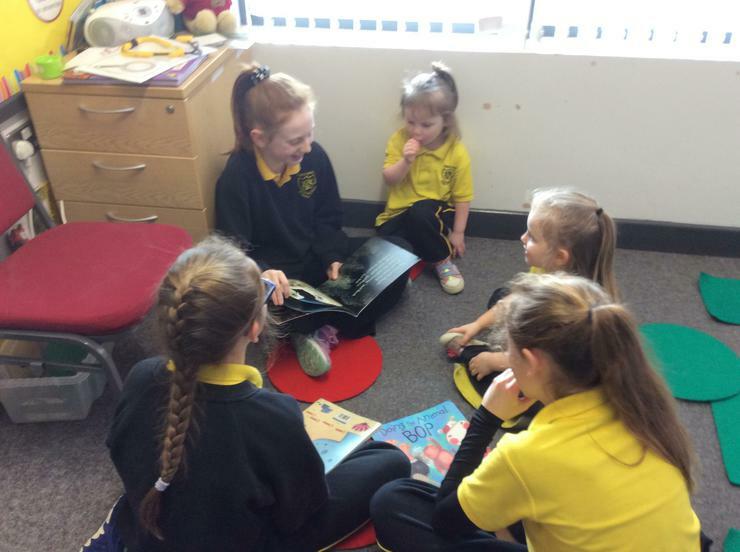 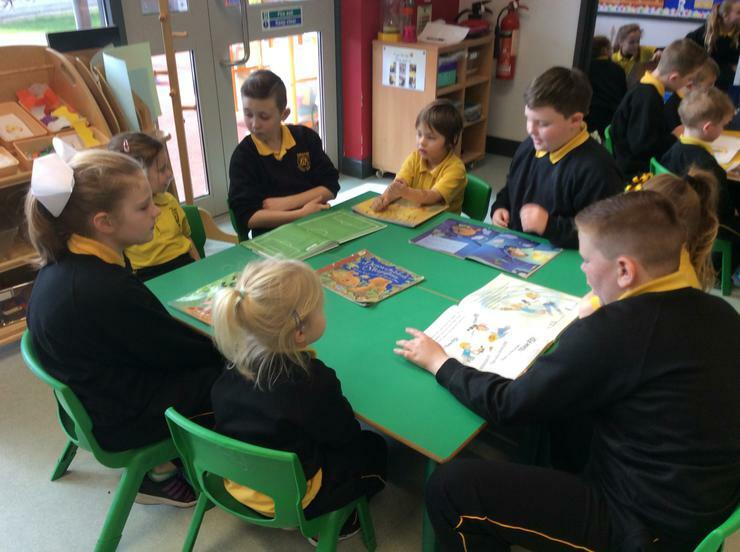 In March we also celebrated World Book Day by the P7s coming to read to us and joined in with art activities to celebrate King's Park's 80th anniversary. 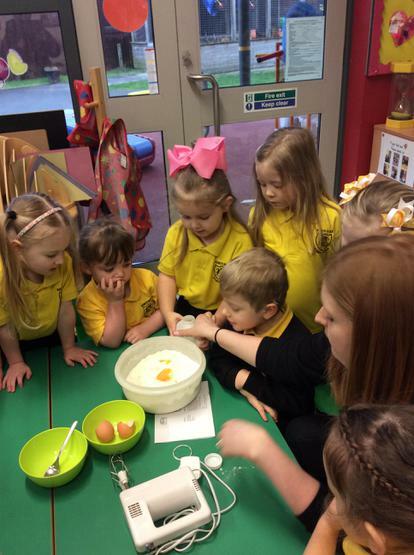 Make sure to take a look at our Educational Visits page to see the photographs of our visit from Streamvale Farm! 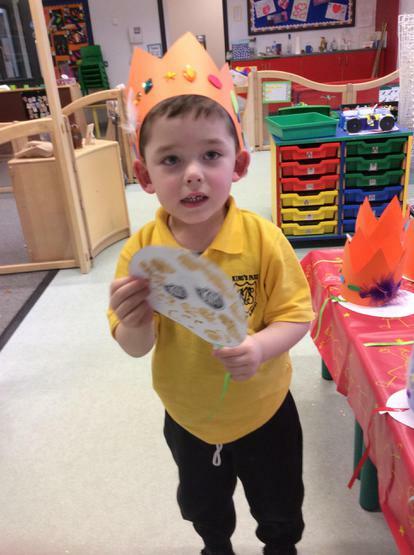 Happy 80th Birthday King's Park! 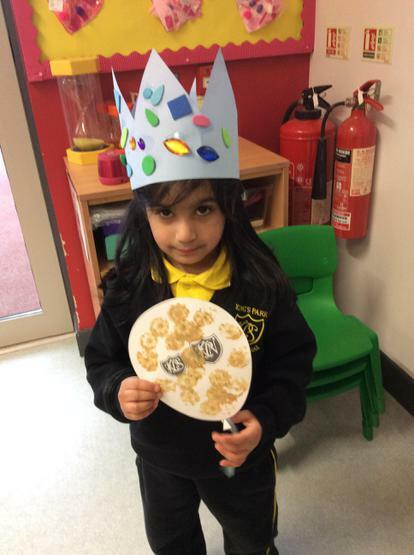 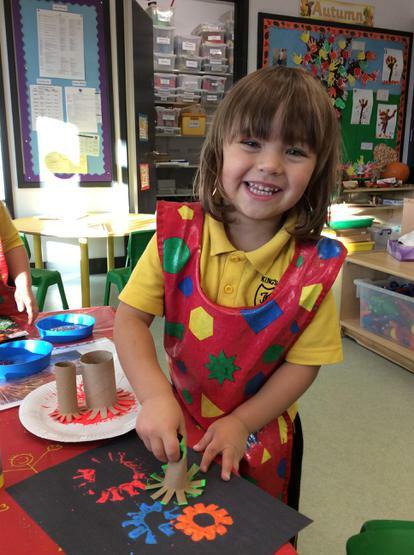 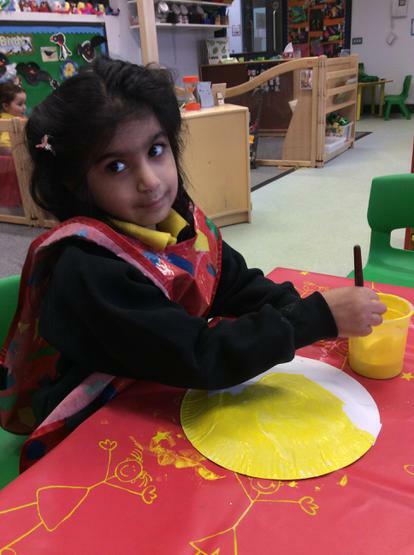 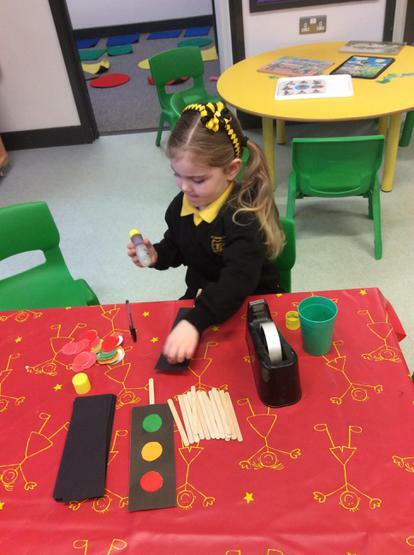 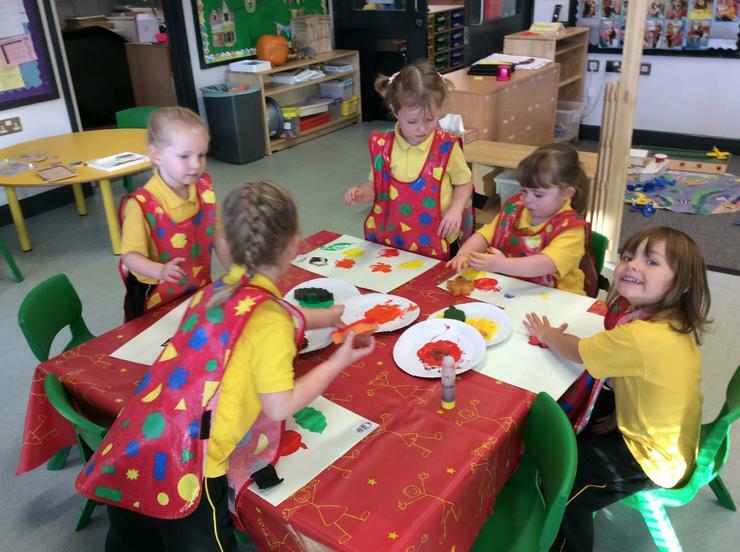 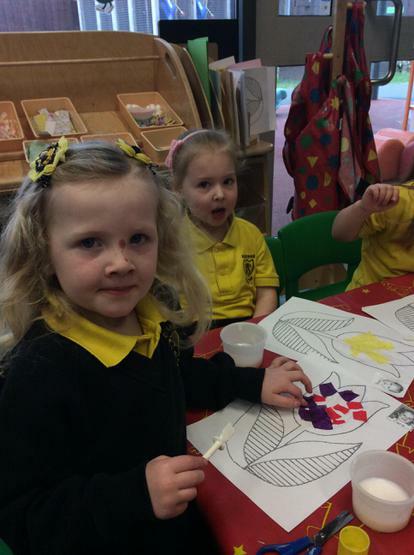 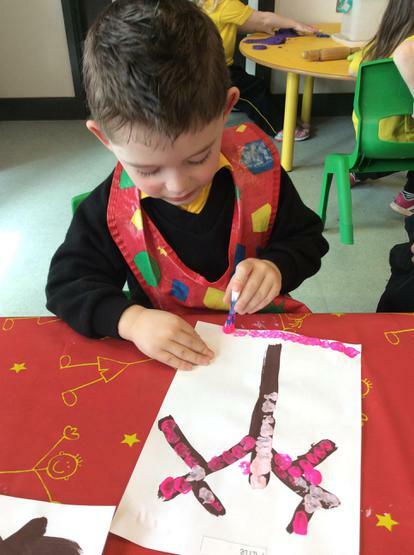 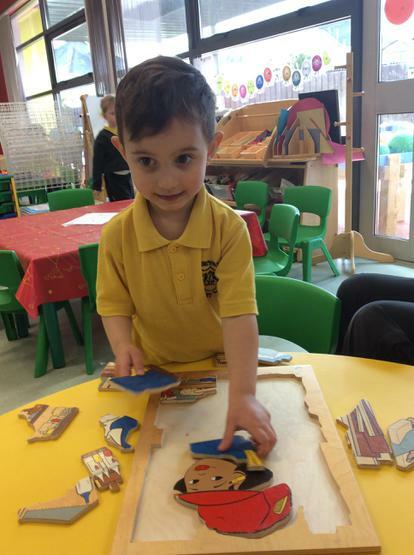 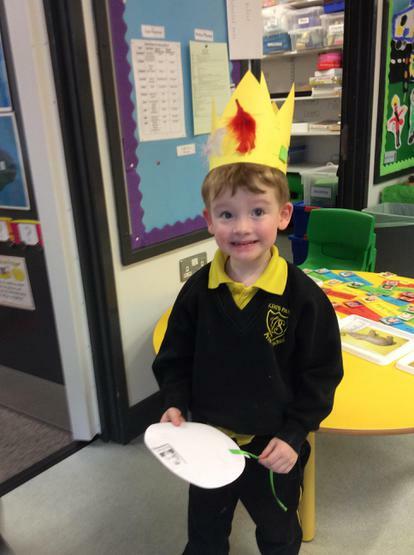 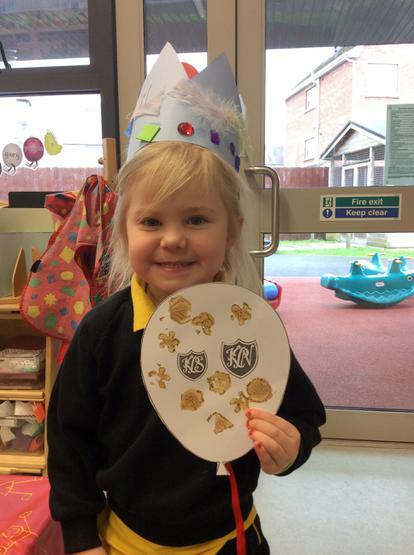 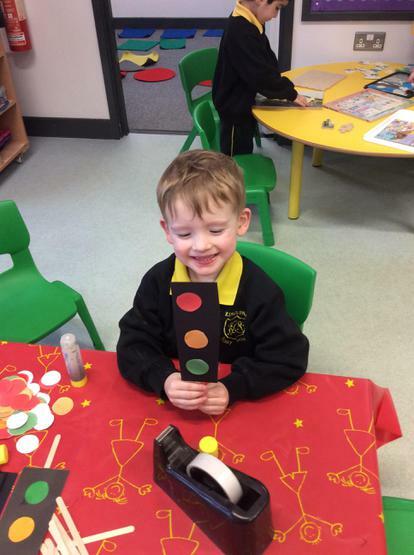 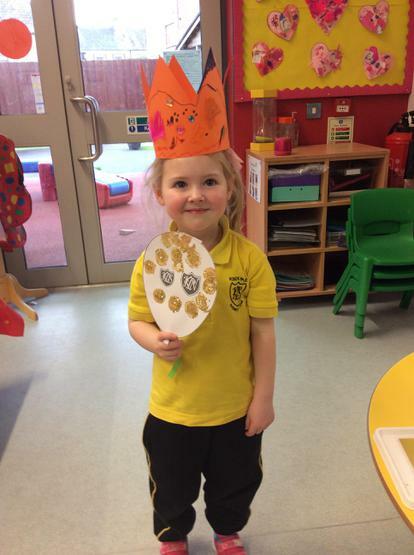 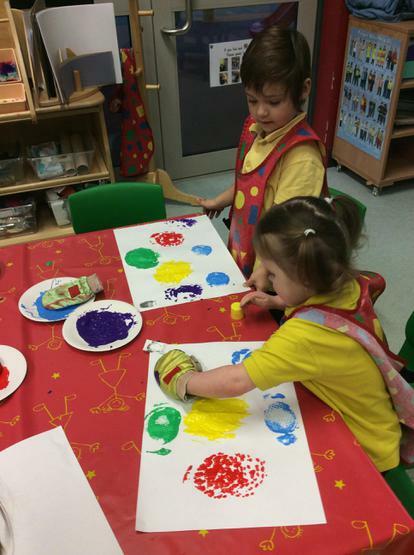 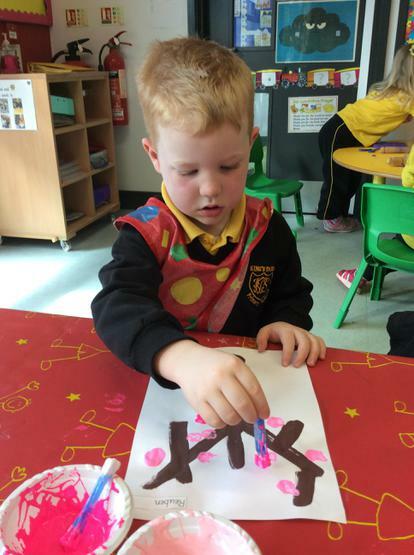 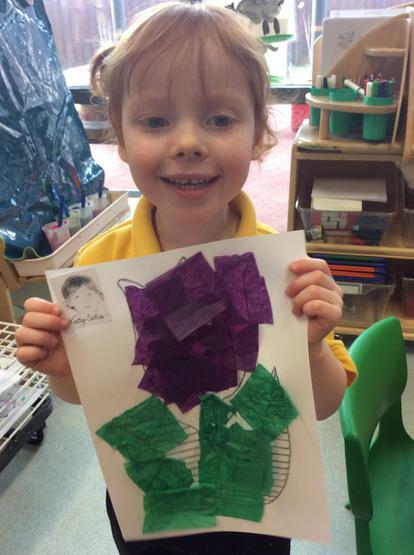 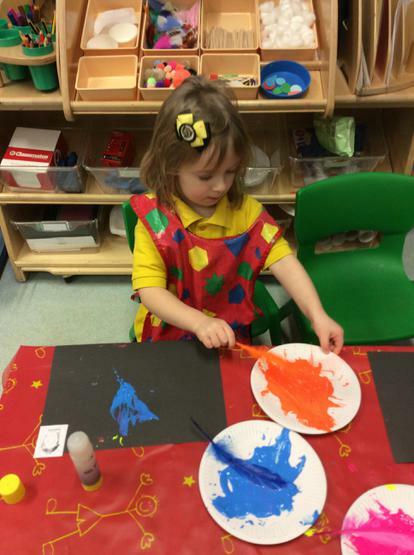 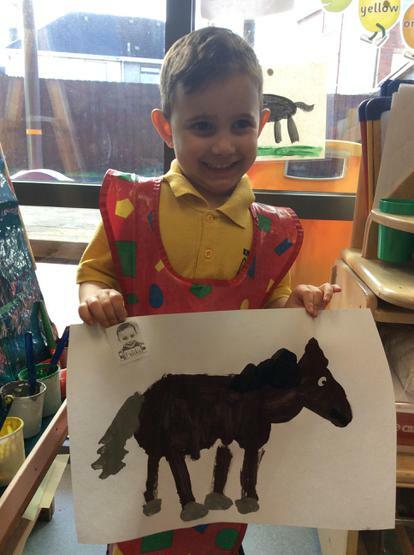 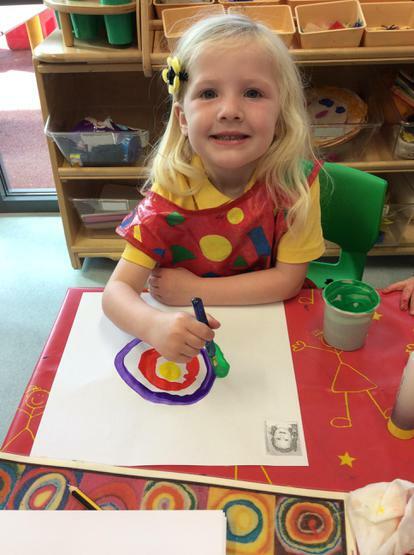 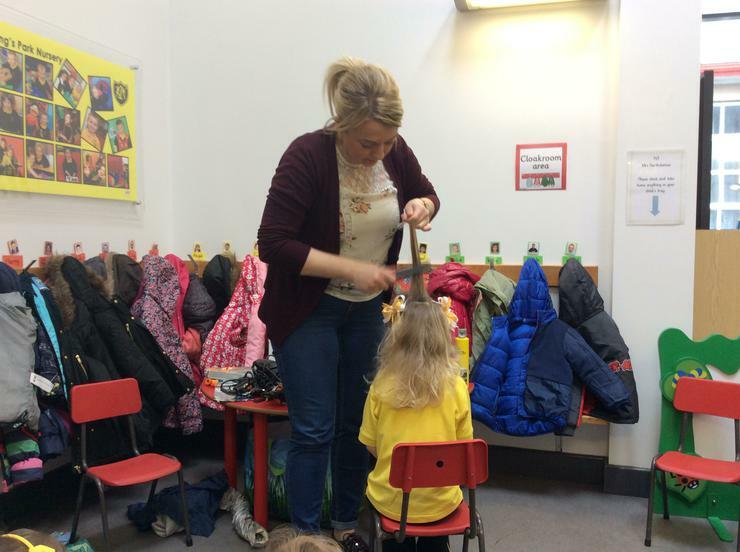 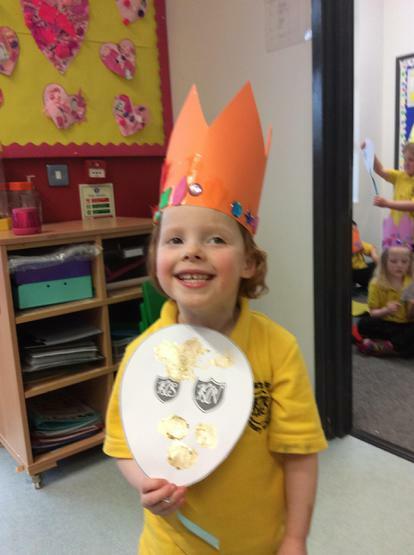 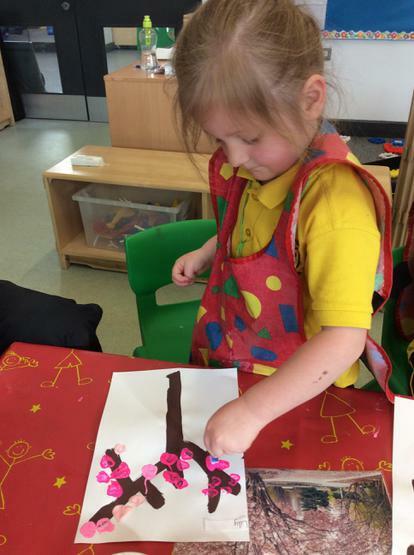 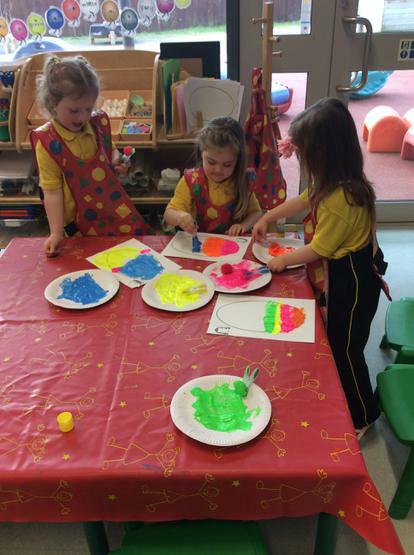 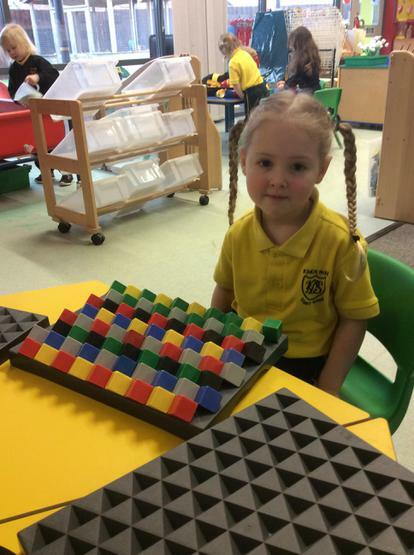 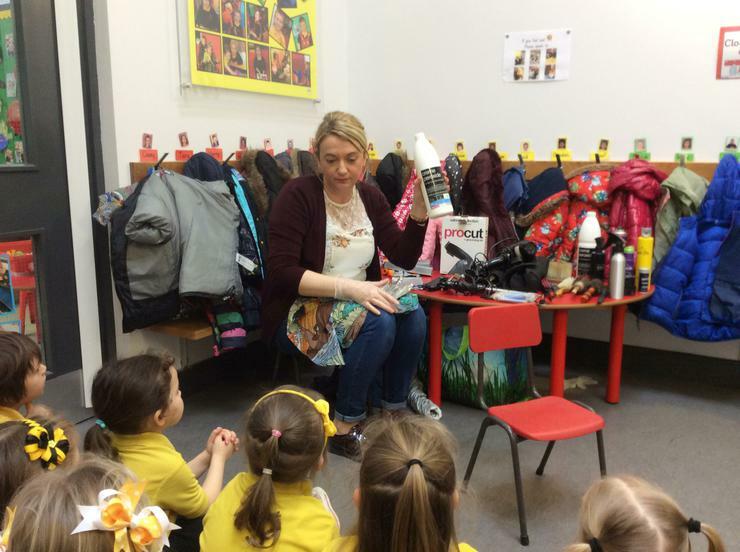 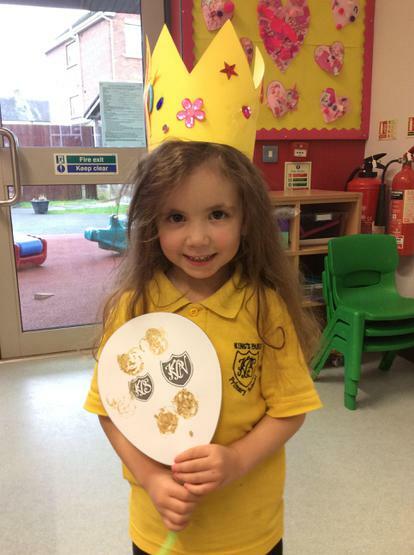 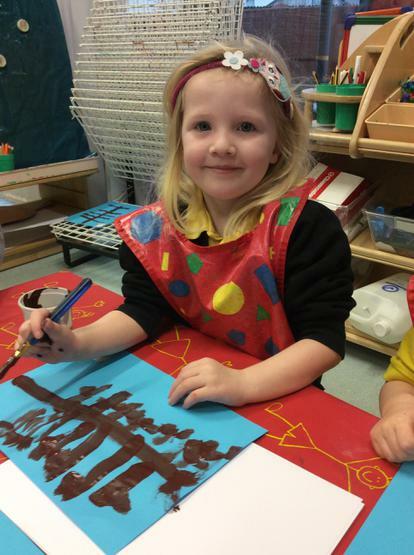 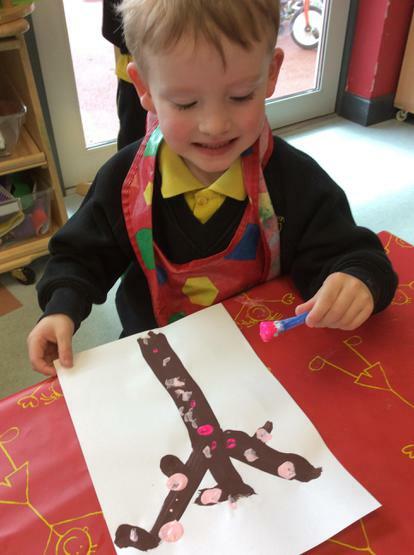 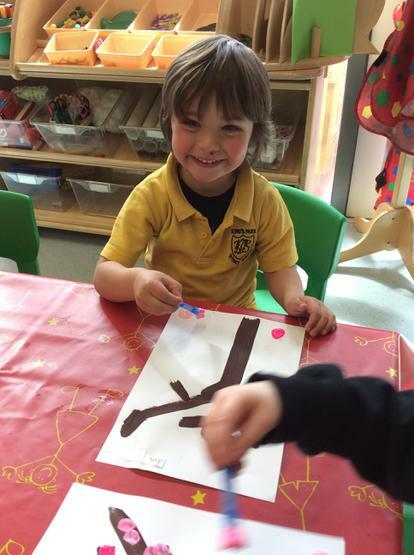 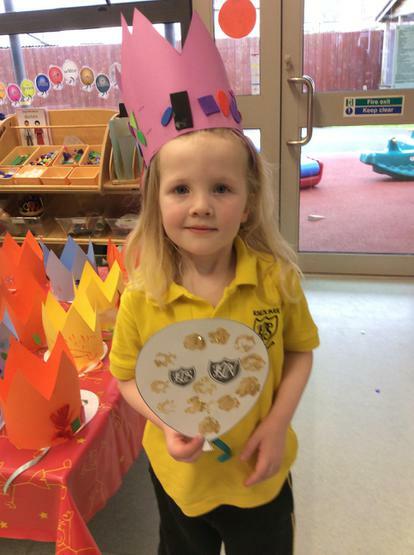 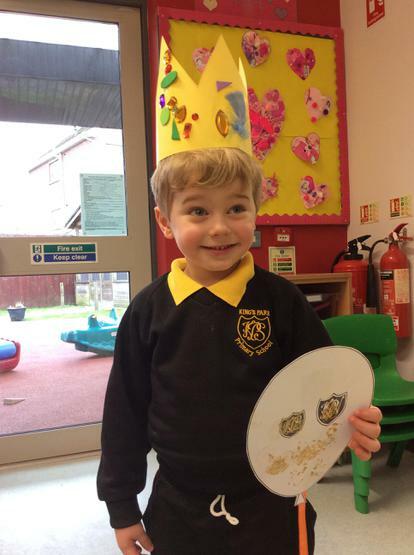 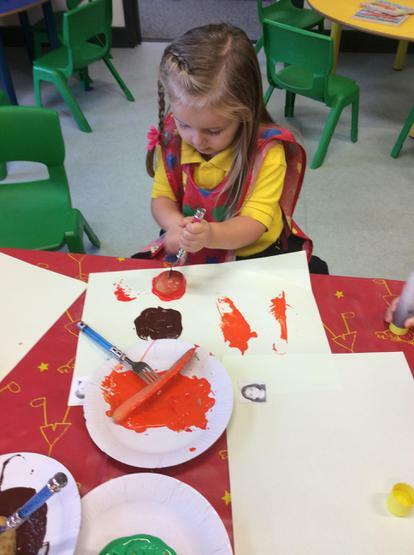 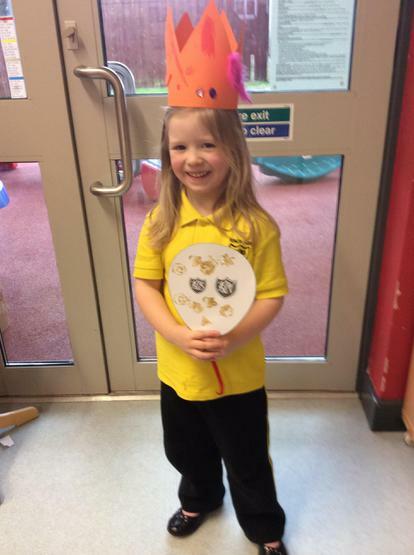 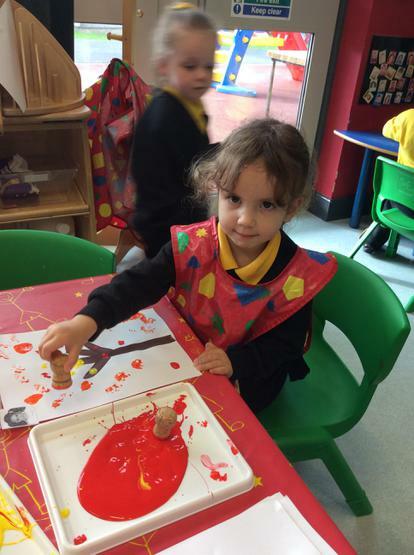 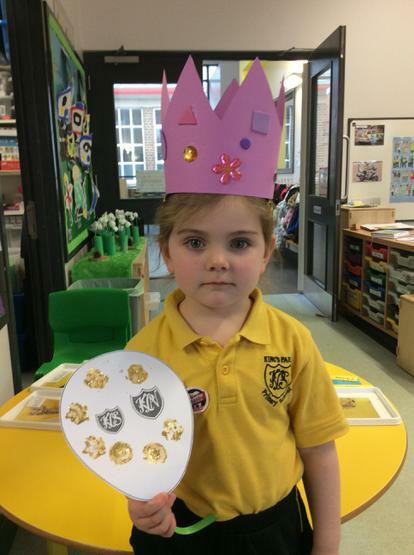 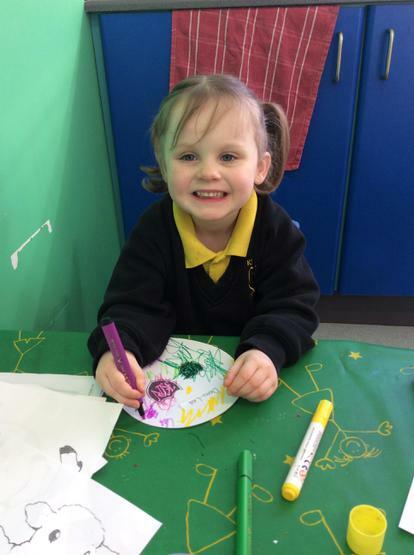 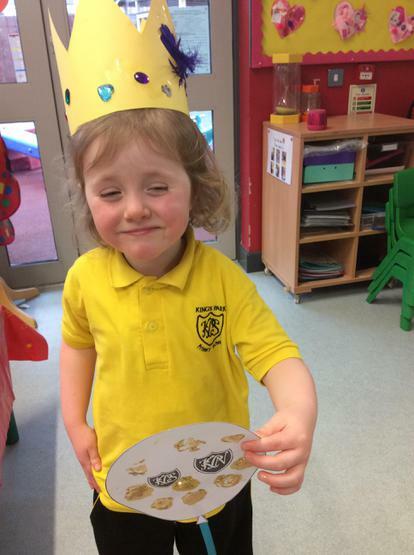 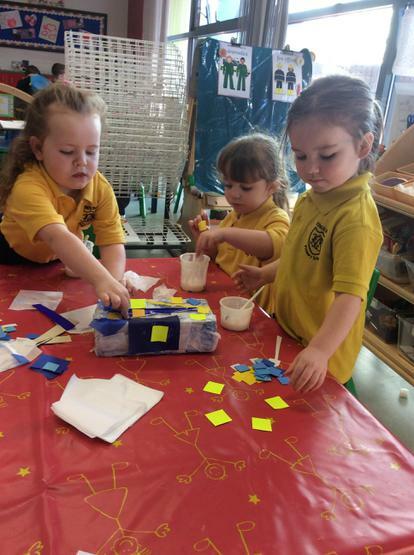 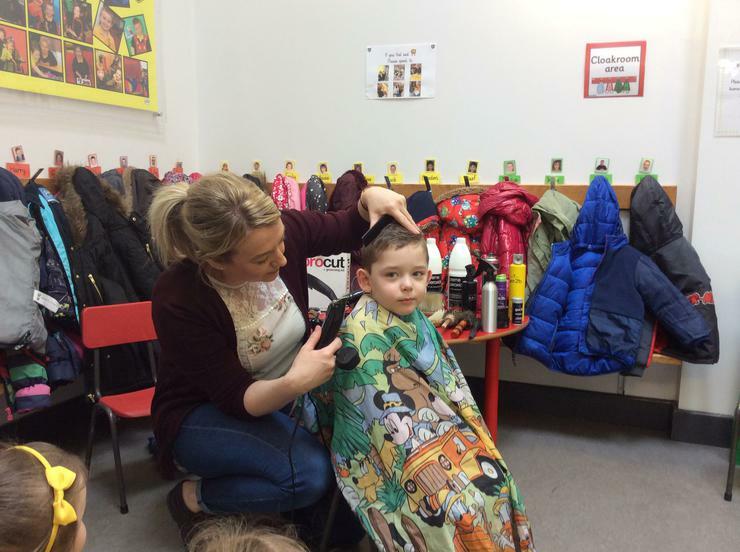 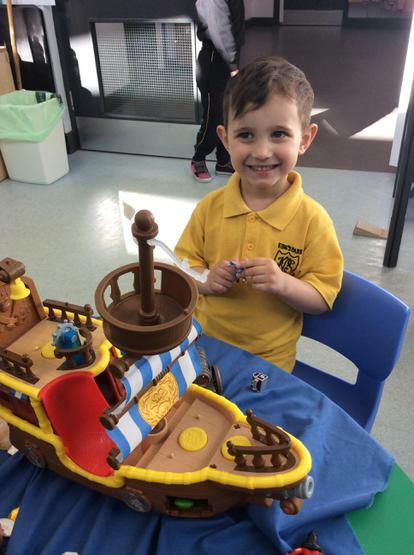 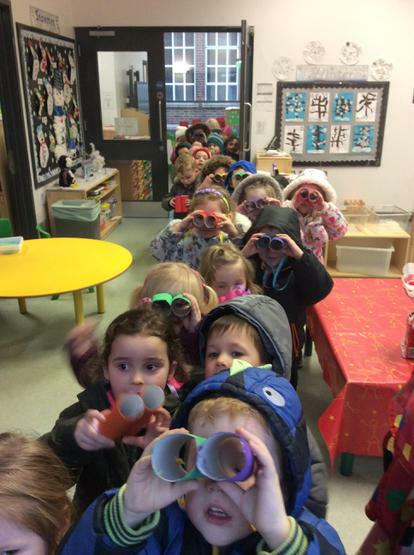 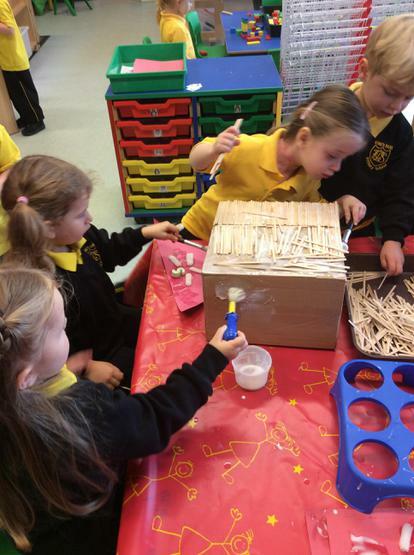 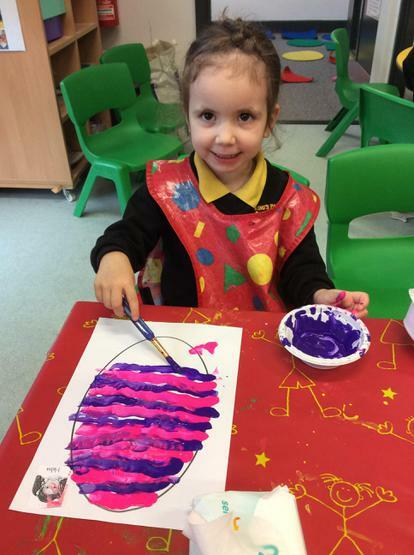 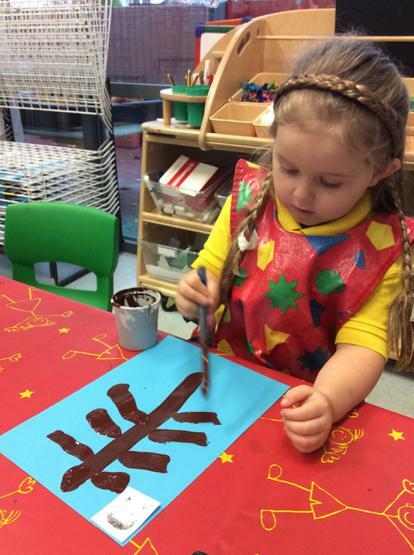 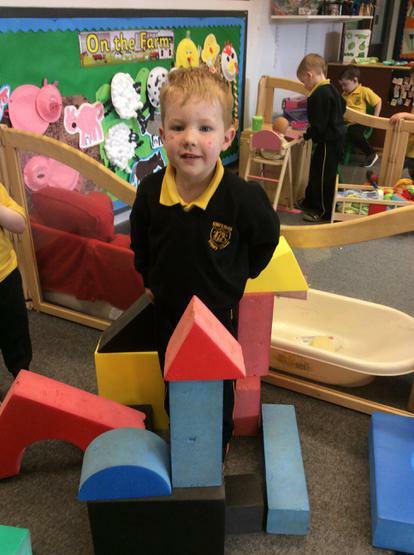 To celebrate King's Park Primary & Nursery School's 80th anniversary, the whole school had a special art day and the children in Nursery took part in some exciting activities. 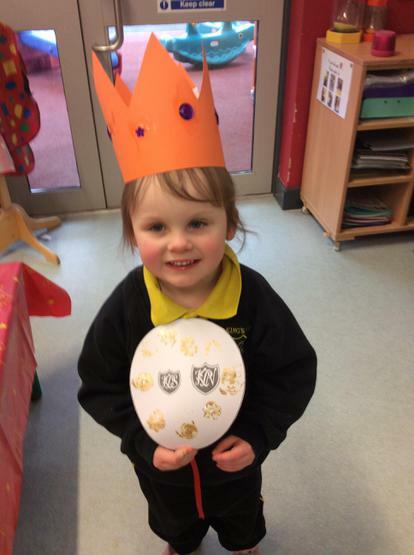 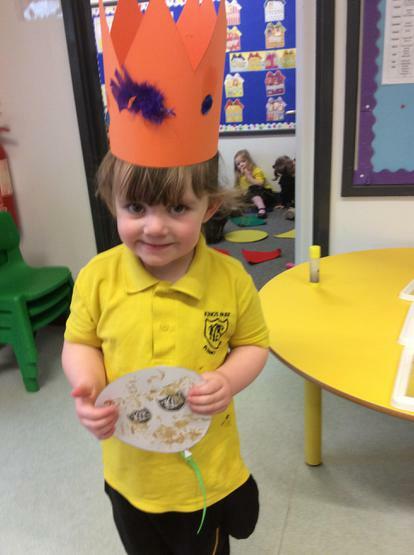 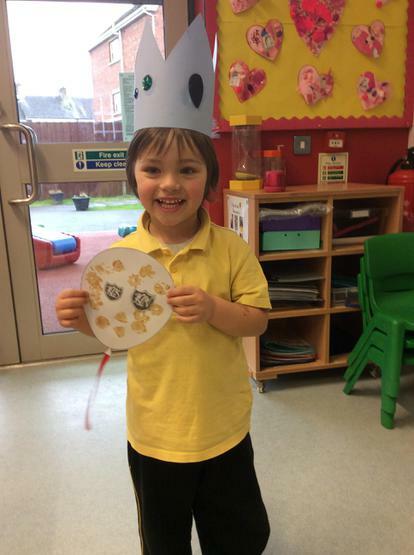 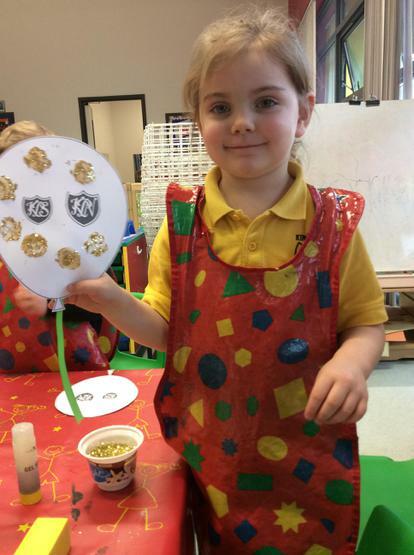 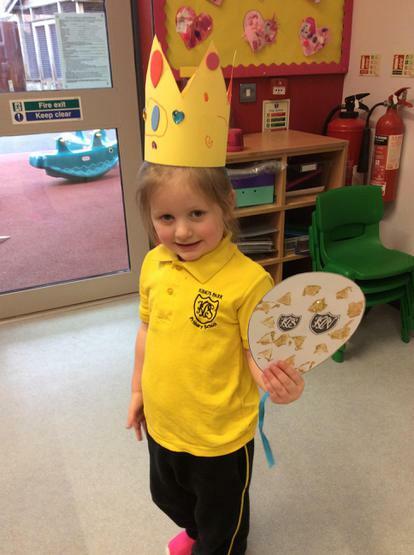 The boys and girls got to make crowns and decorated balloons with the King's Park logo on them. 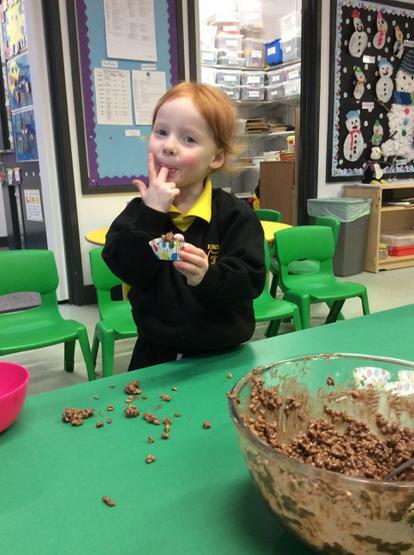 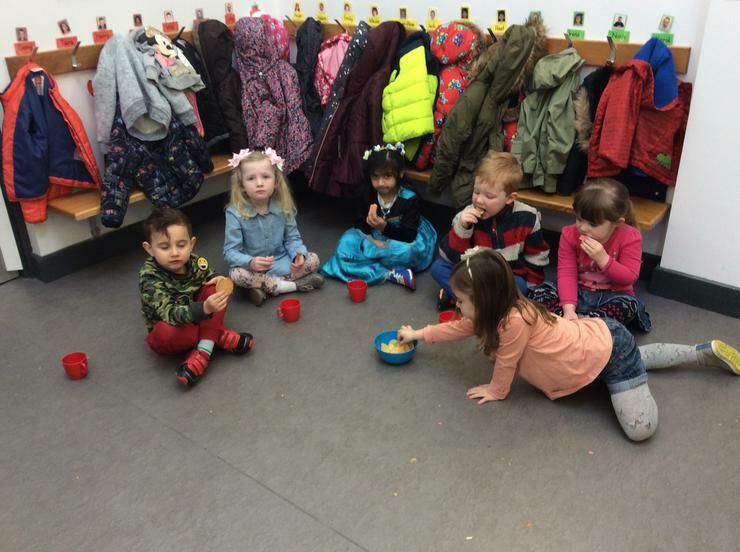 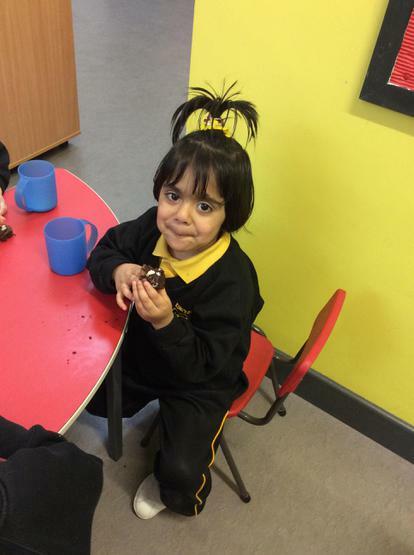 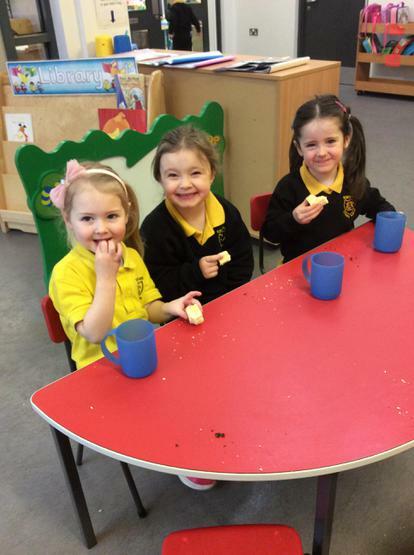 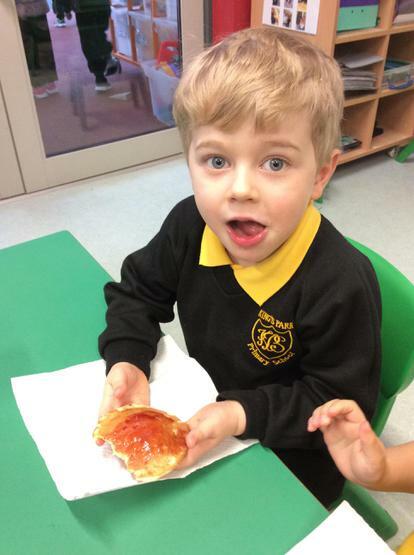 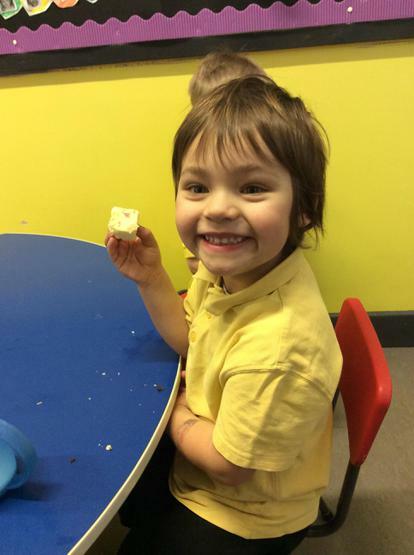 No celebration would be complete without a cake so of course all the Nursery children got to enjoy yummy cake for their snack! 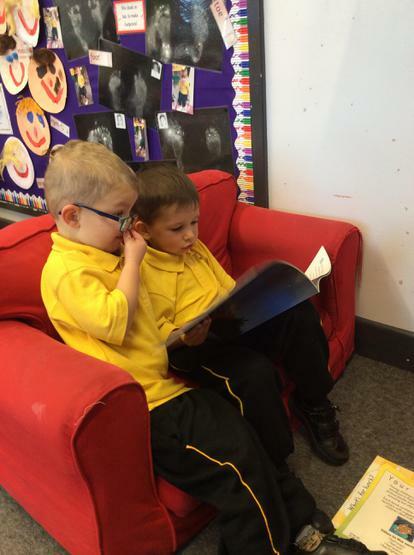 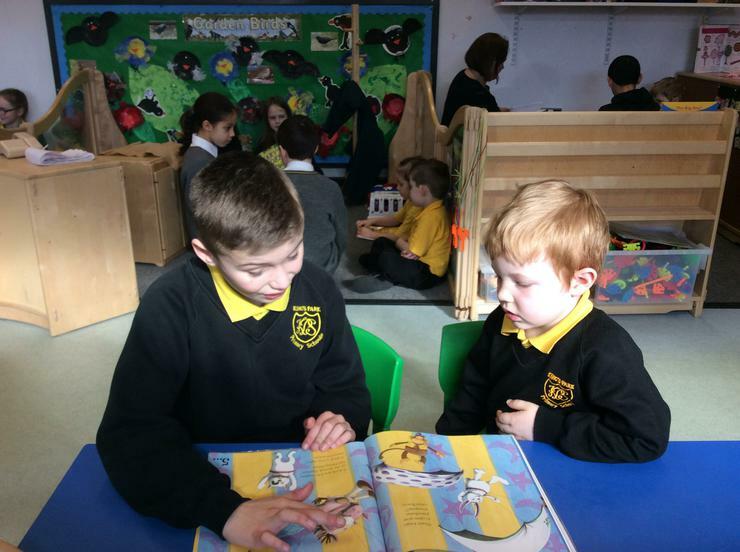 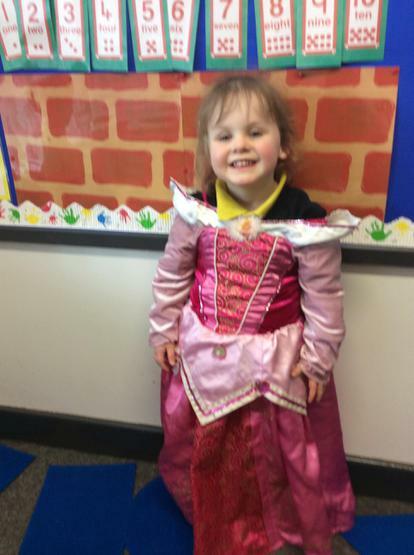 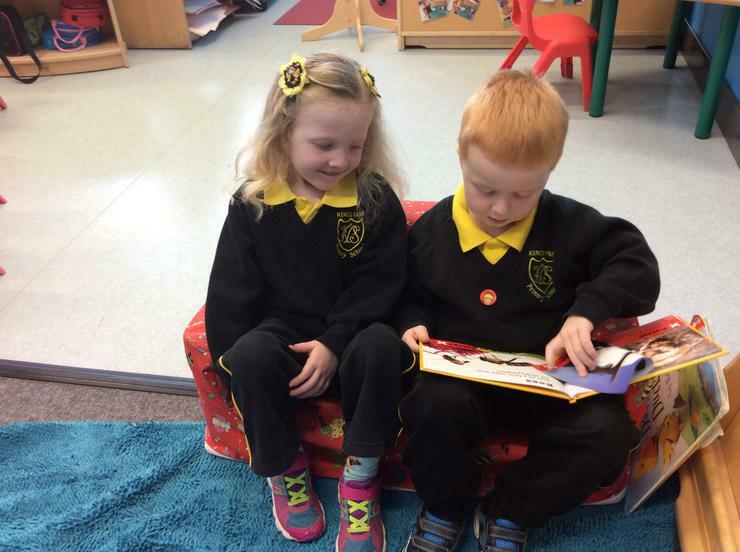 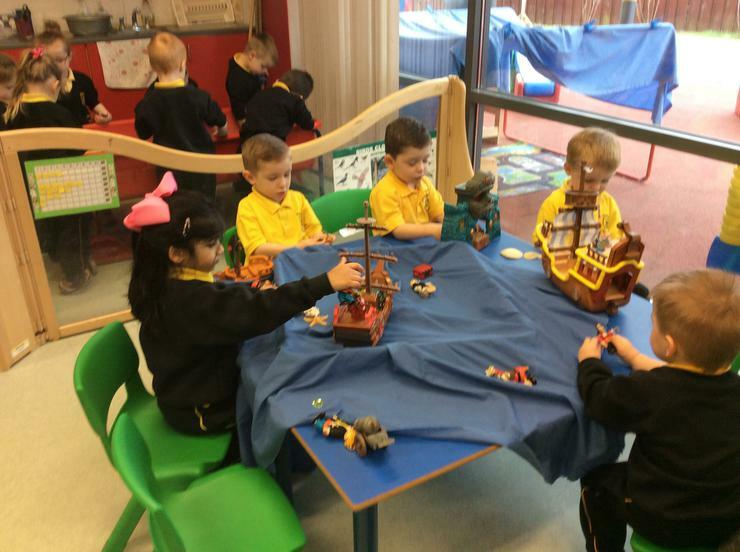 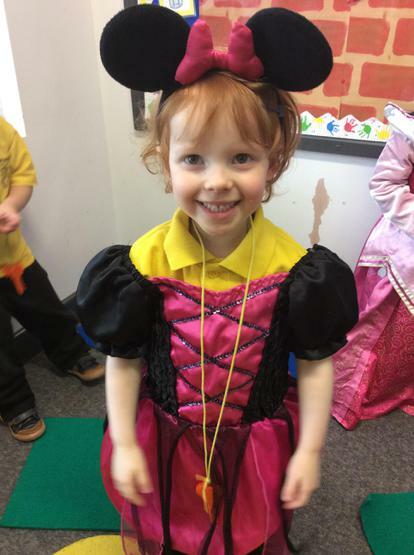 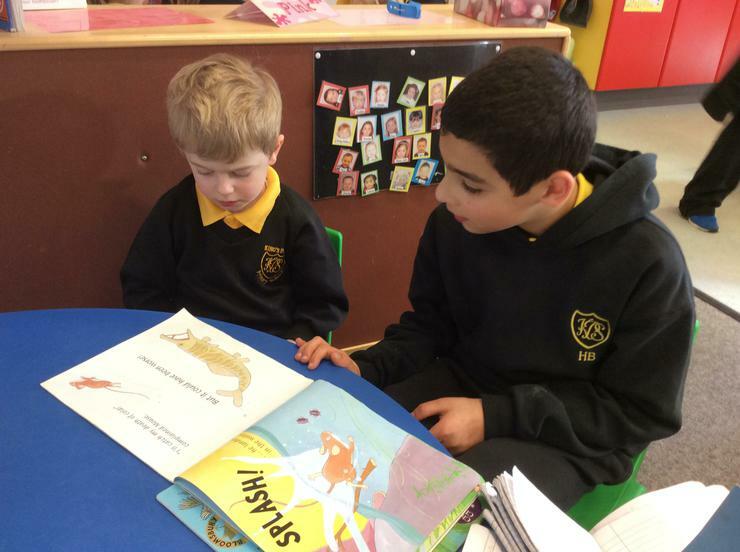 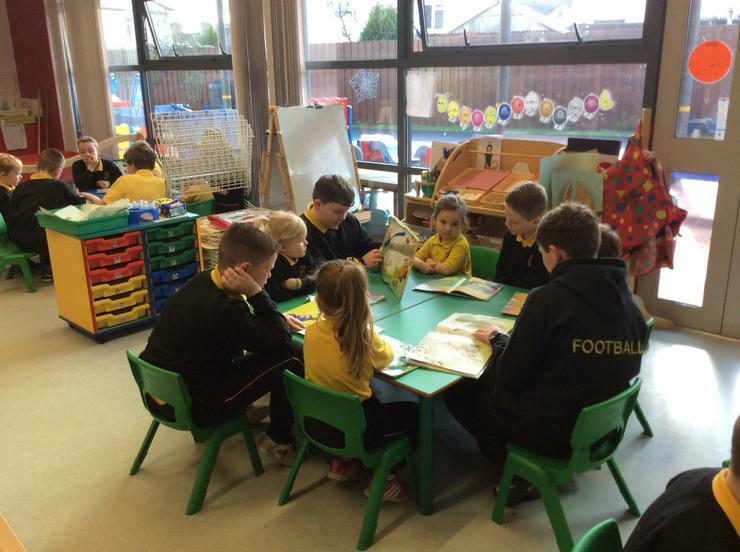 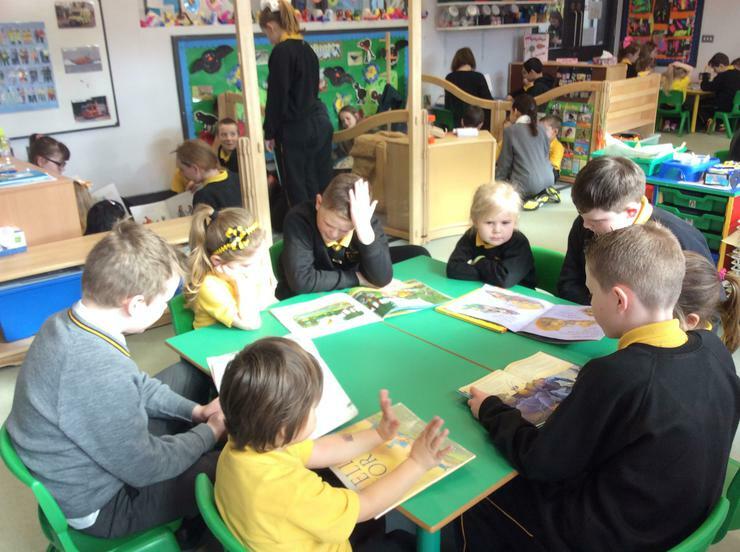 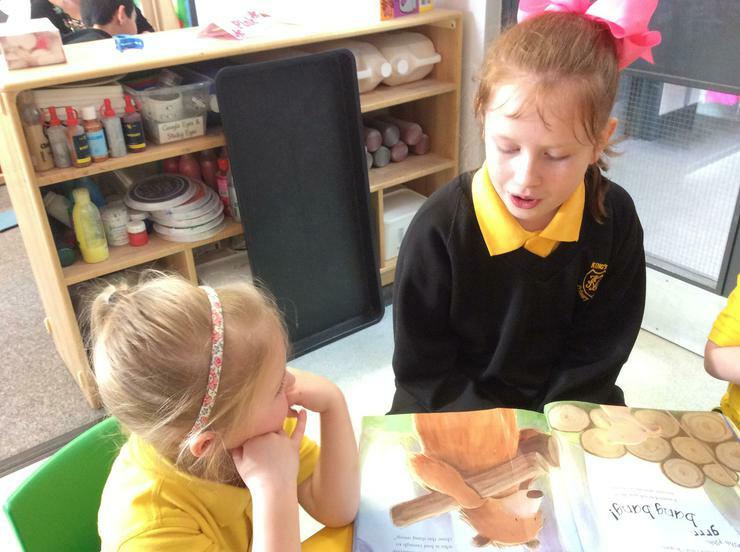 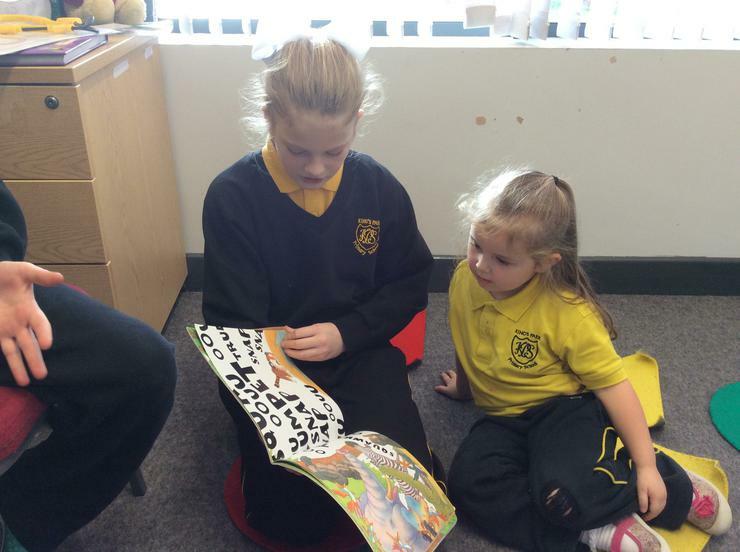 To celebrate World Book Day, Mr Martins P7 class to read some favourite stories to the boys and girls in Nursery. 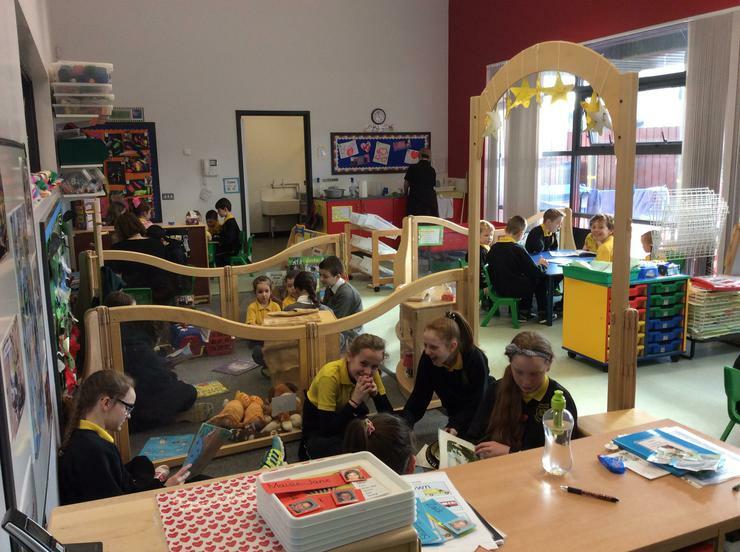 Thank you P7 as the children really enjoyed it! 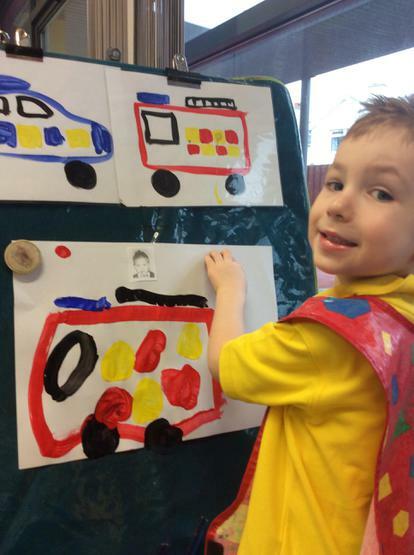 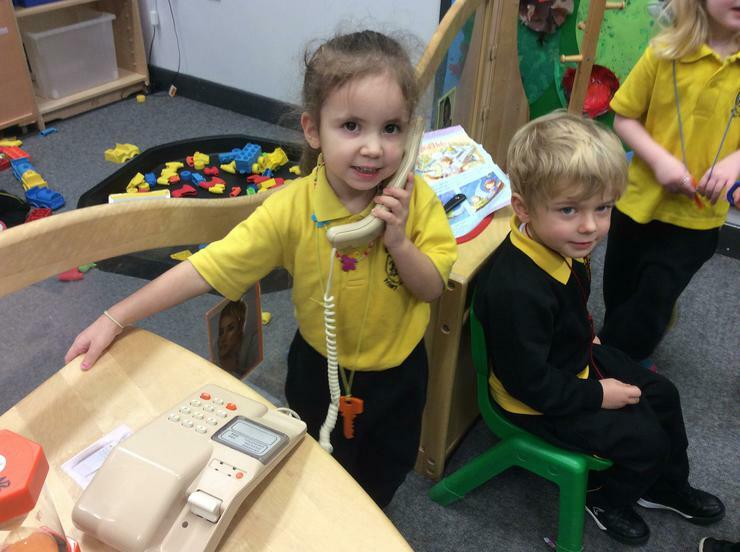 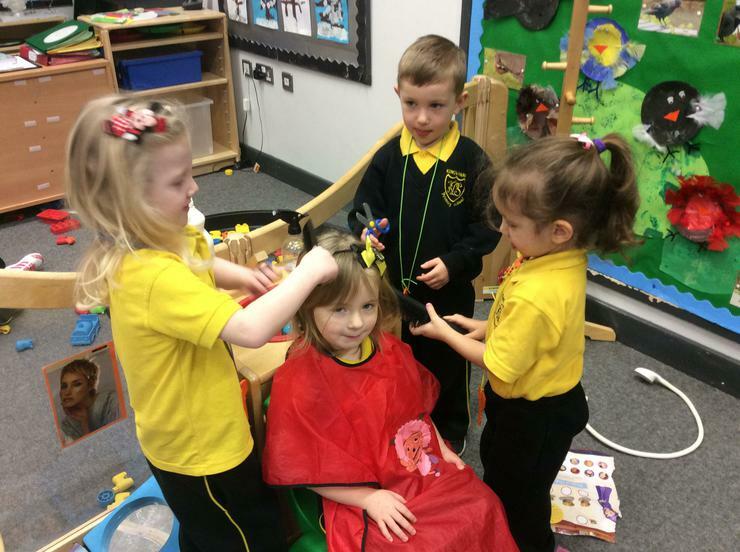 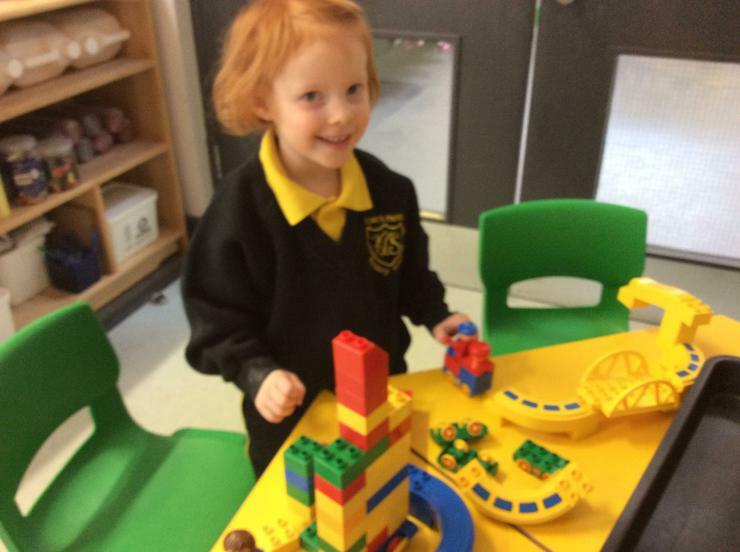 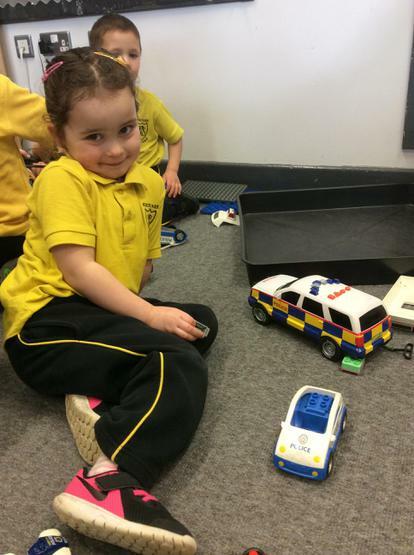 During the month of February we have been learning about 'People Who Help Us' and have enjoyed finding out about the jobs of lots of people that help us including the fire fighters, doctors, the police, dentists, hairdressers and many more. 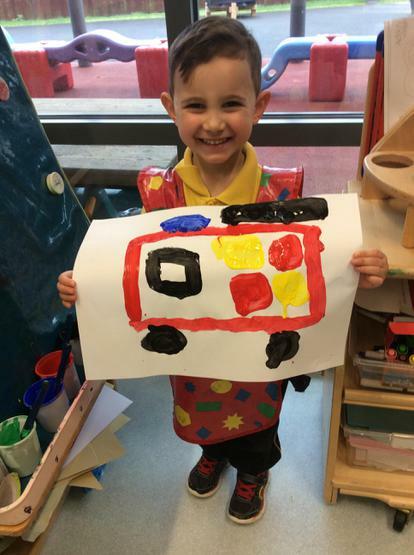 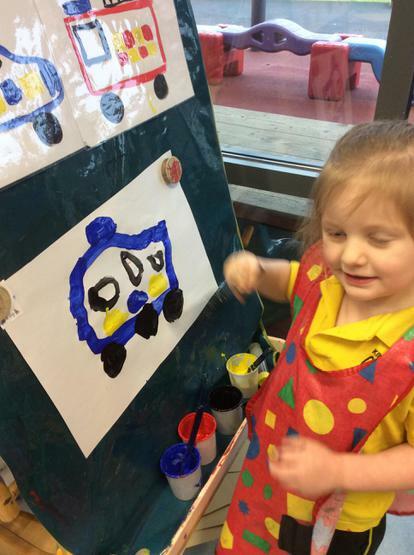 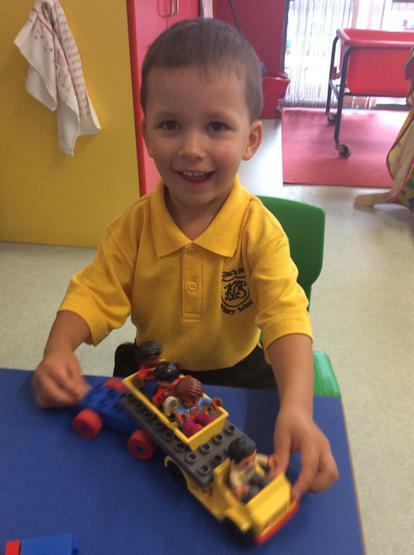 The children have enjoyed painting these people, their emergency vehicles and we Mrs Wells came to talk to the children about her job as a Hairdresser. 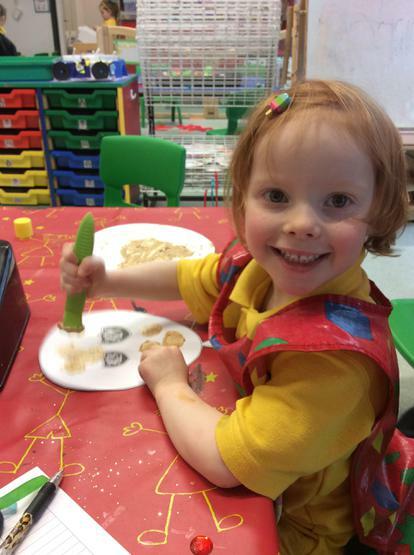 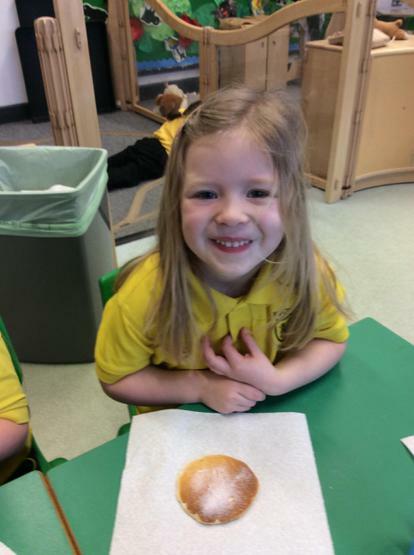 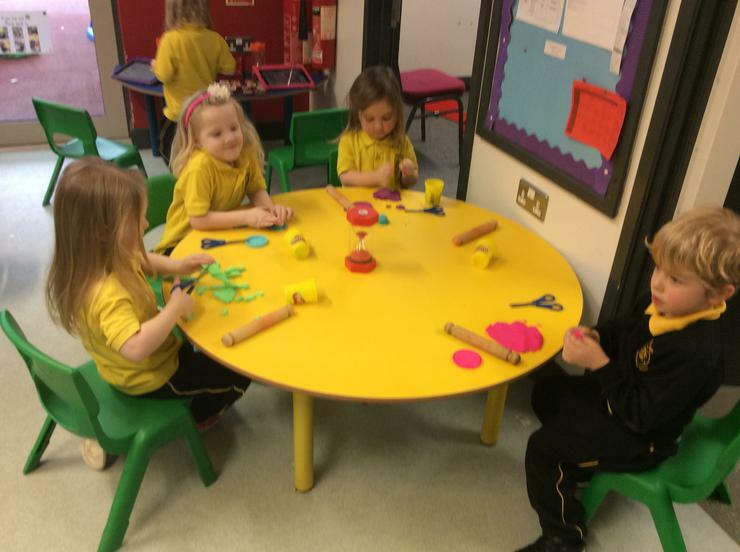 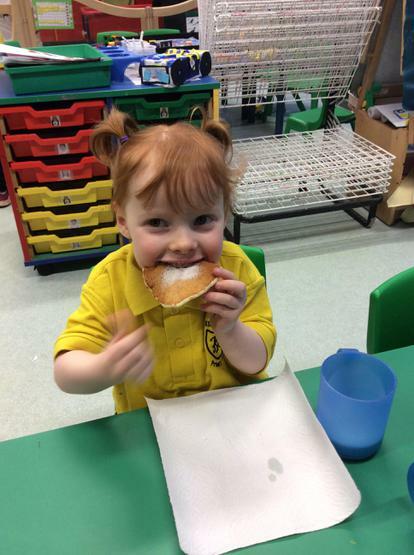 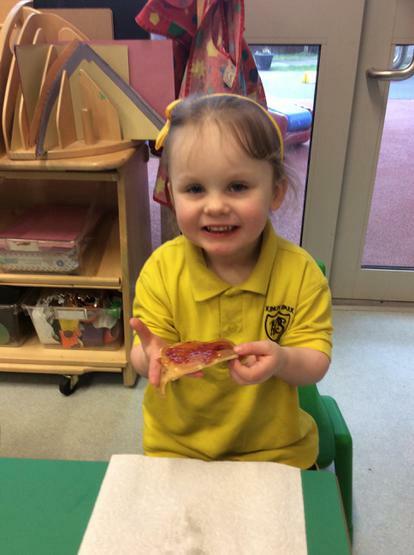 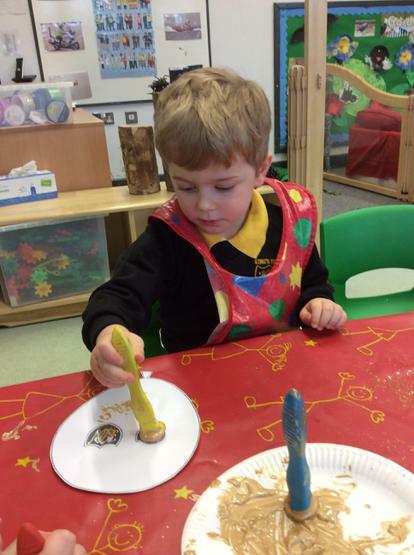 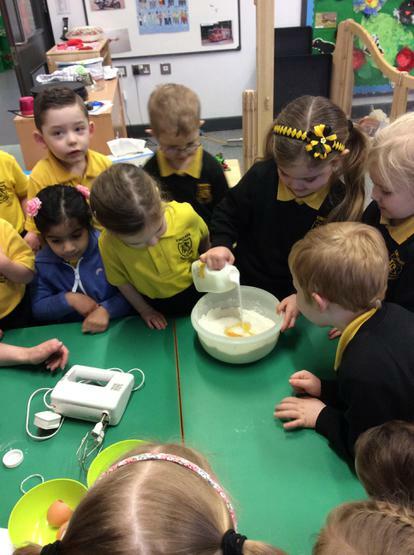 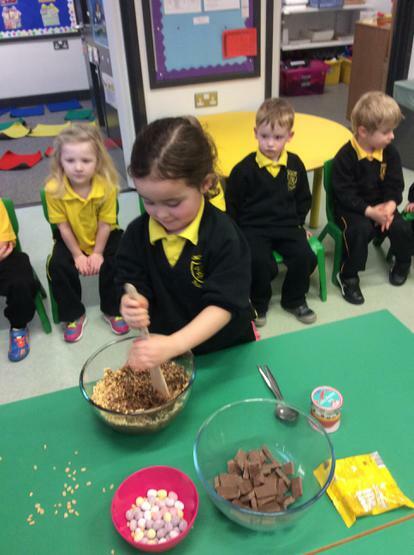 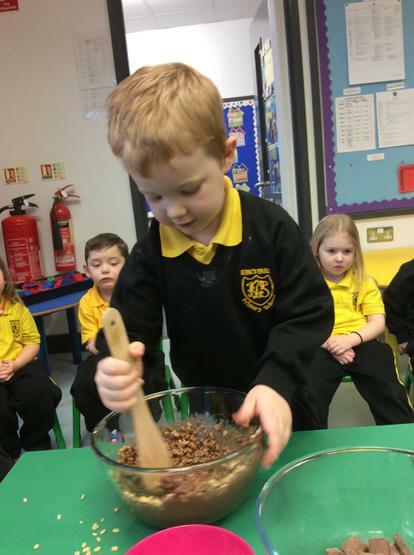 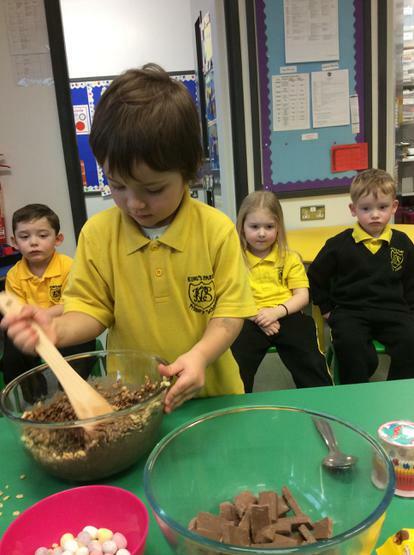 At the end of the month we celebrated Pancake Tuesday which of course involved making lots of yummy pancakes together and getting to eat them for our snack! 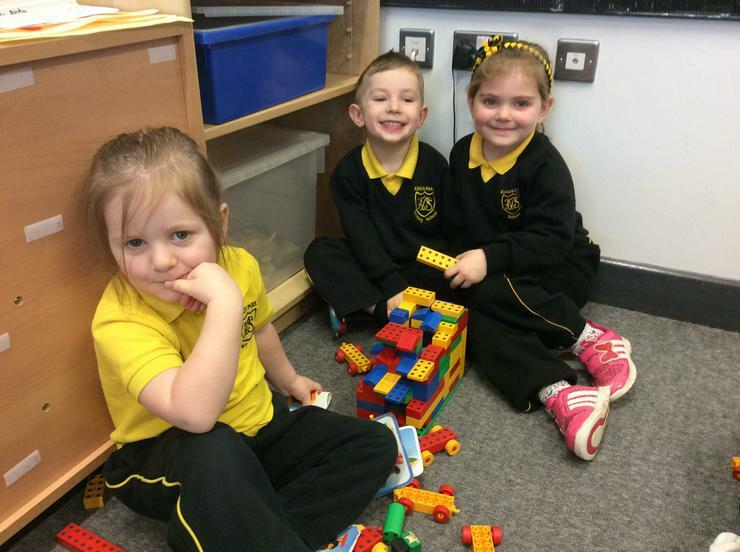 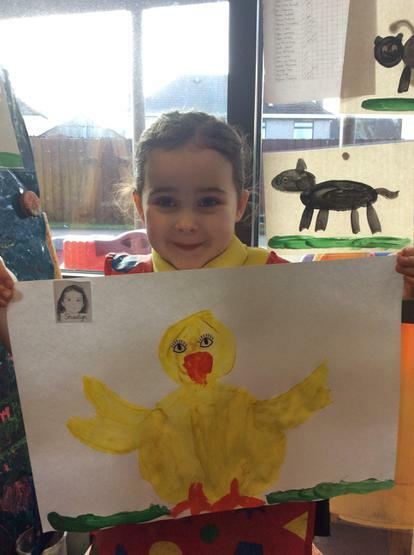 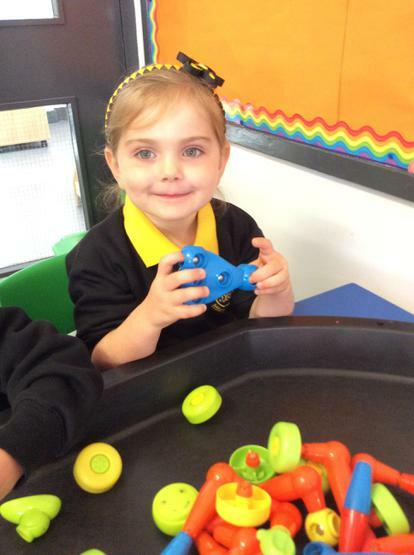 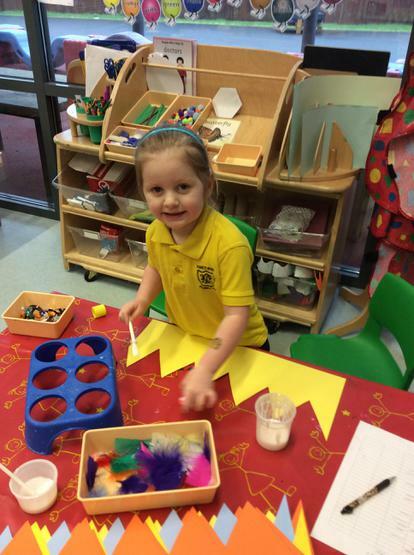 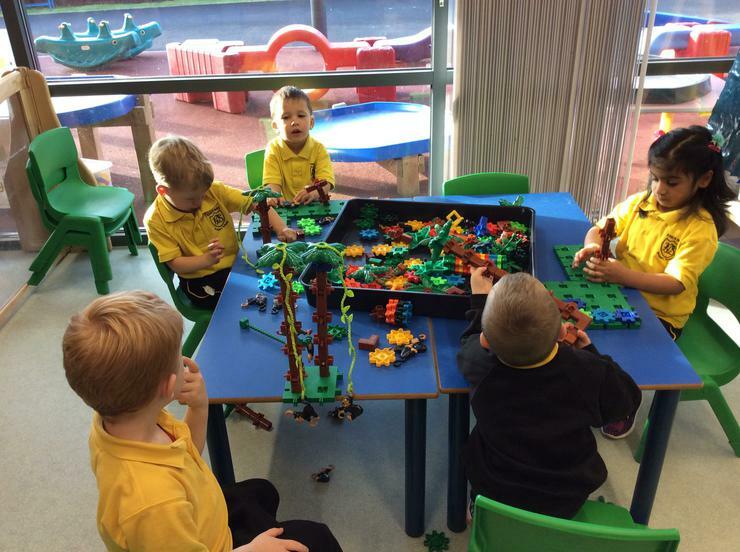 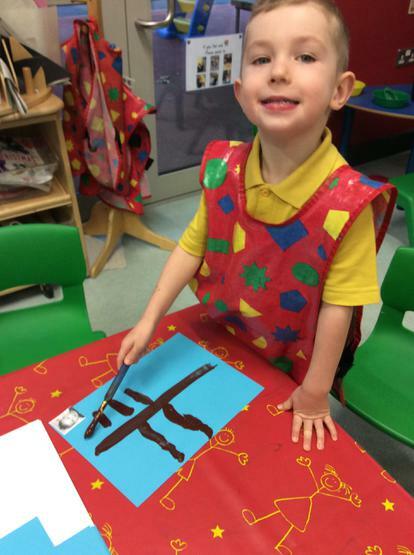 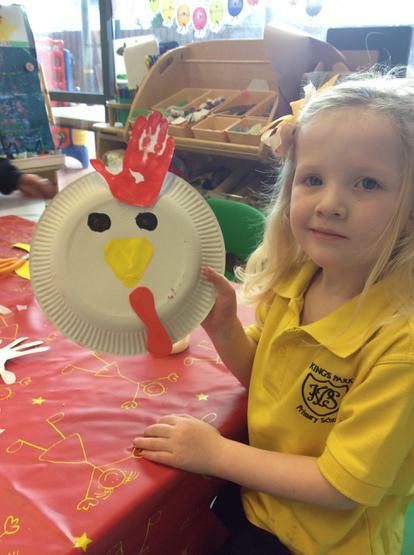 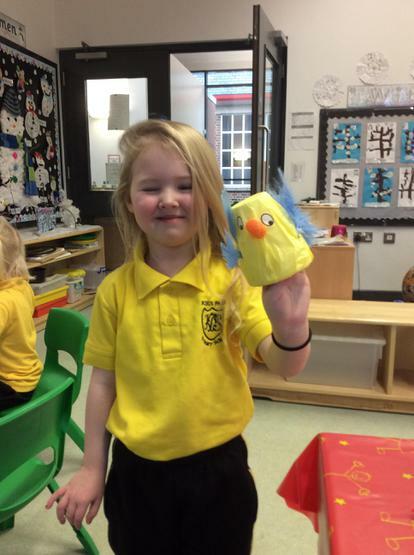 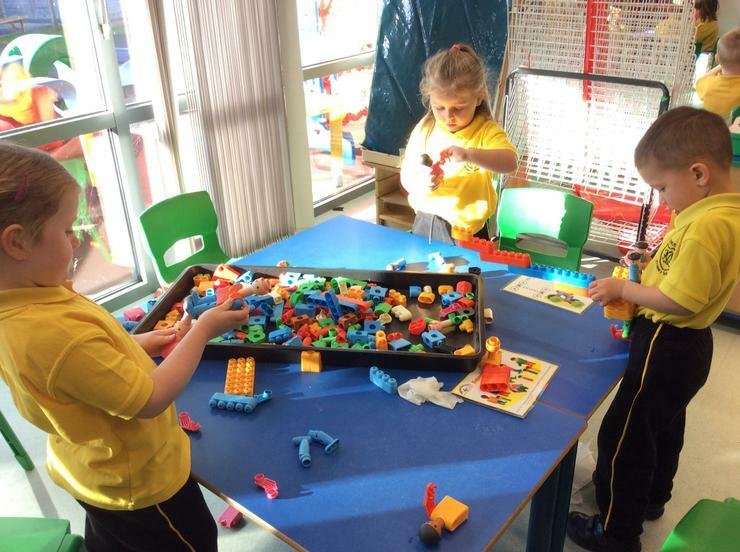 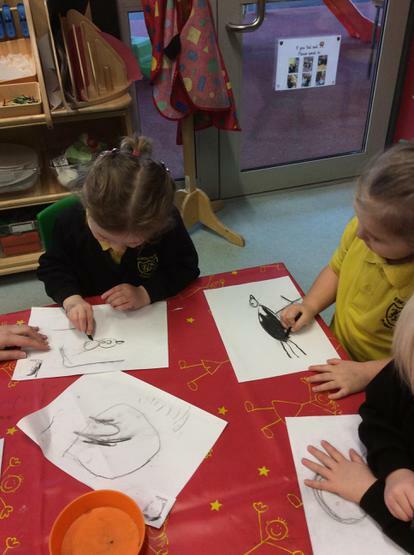 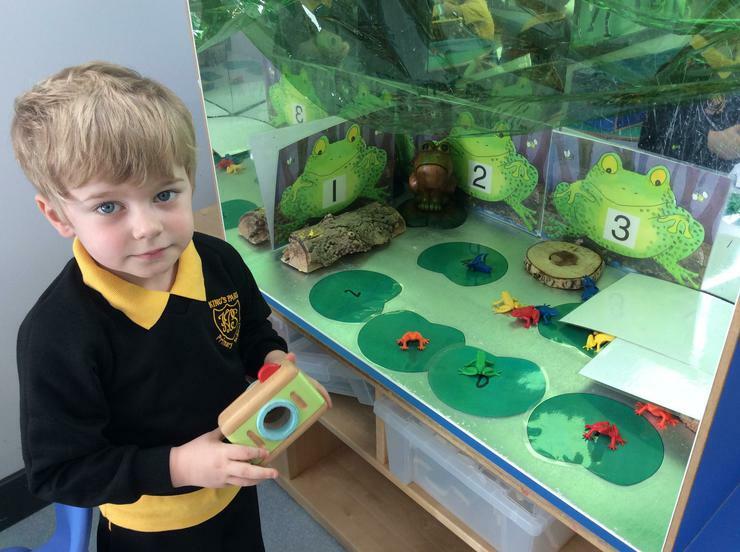 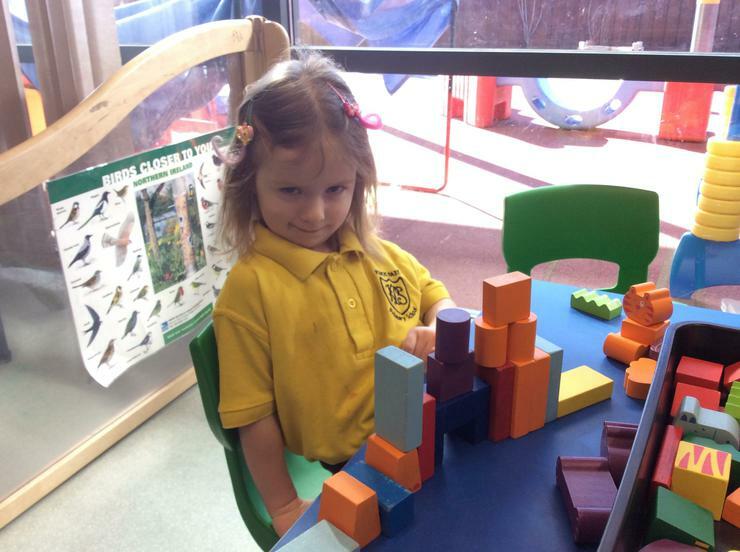 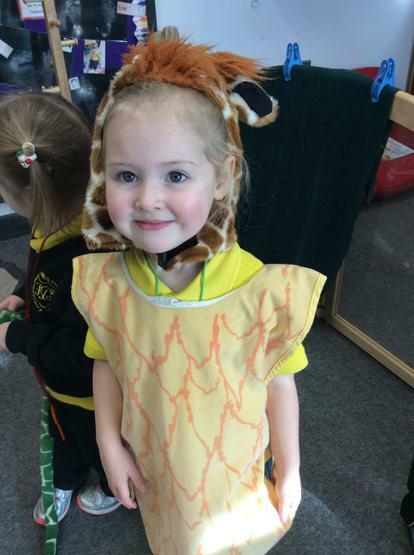 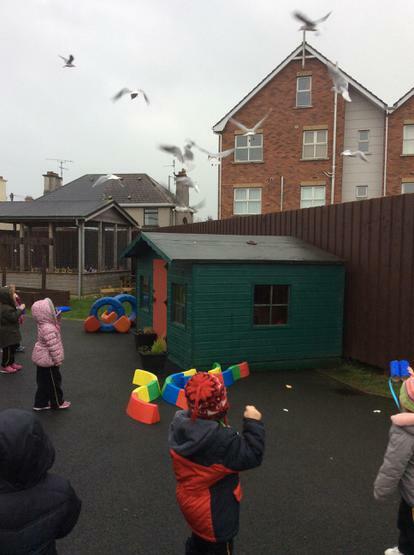 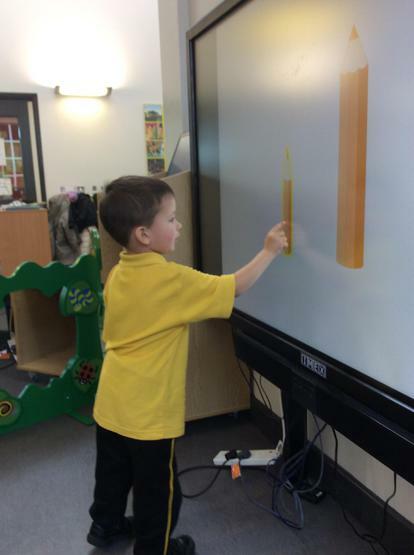 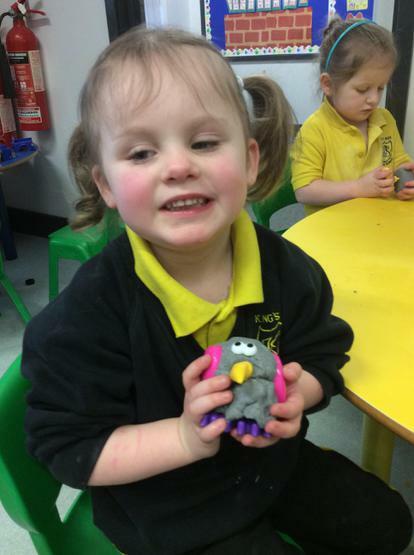 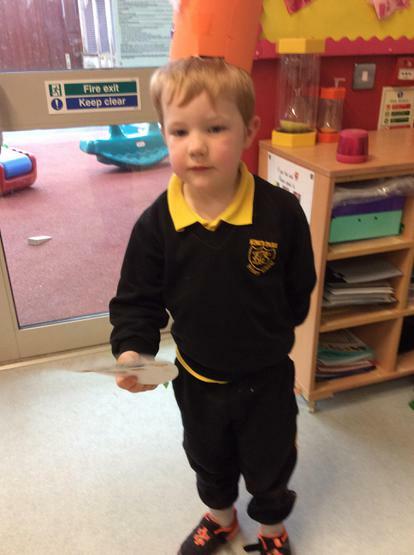 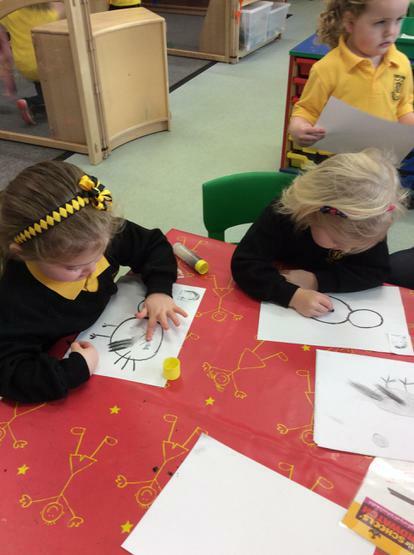 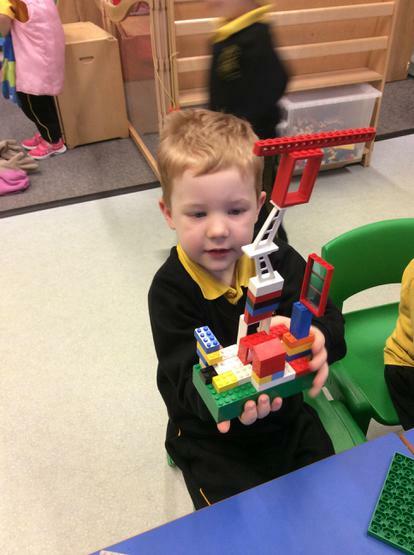 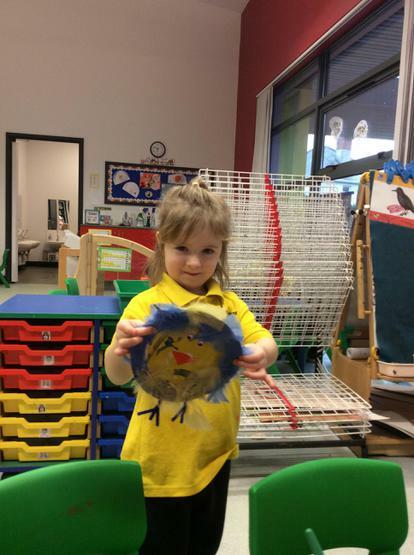 During the month of January we have been looking at the topic of birds. 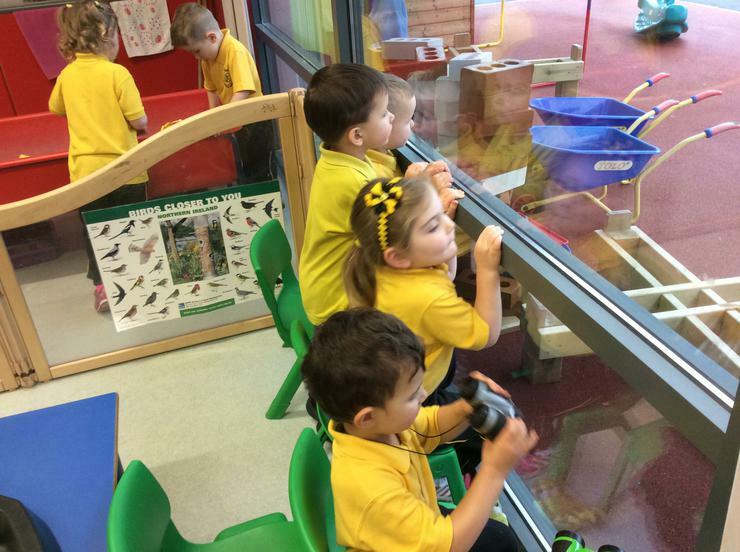 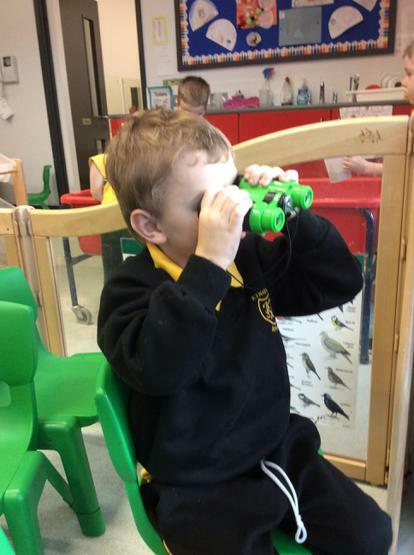 The children have been learning to identify common birds and how they help to take care of garden birds. 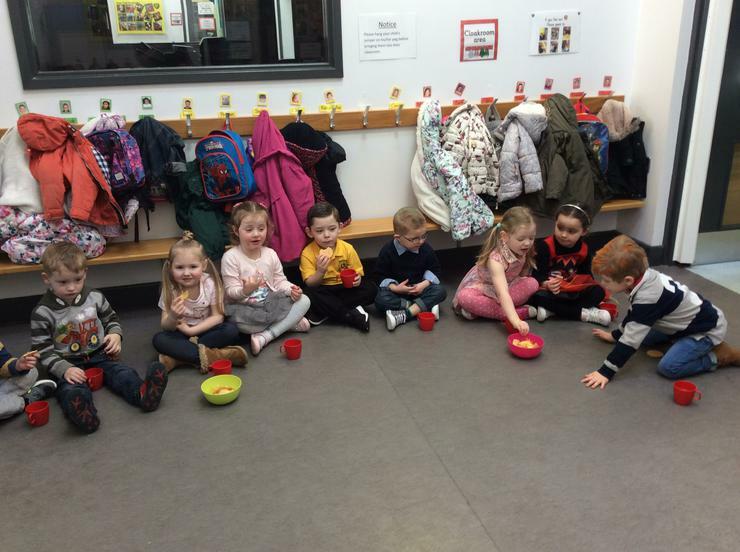 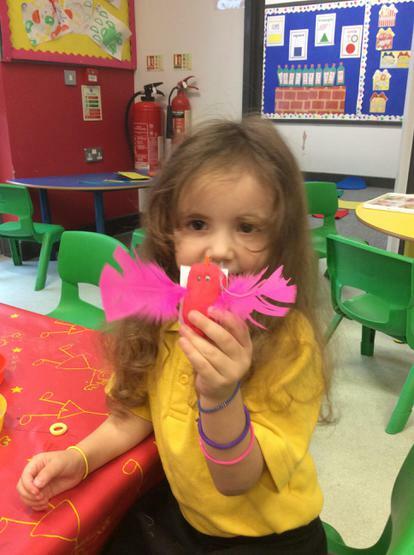 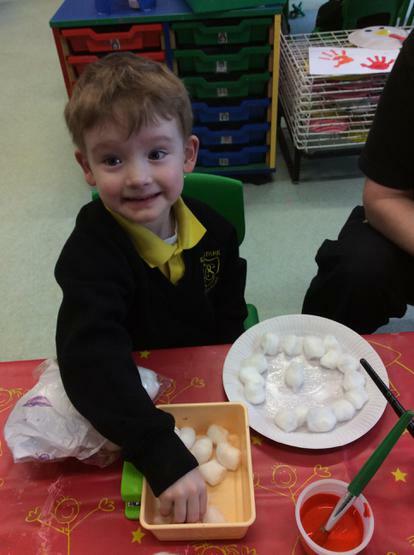 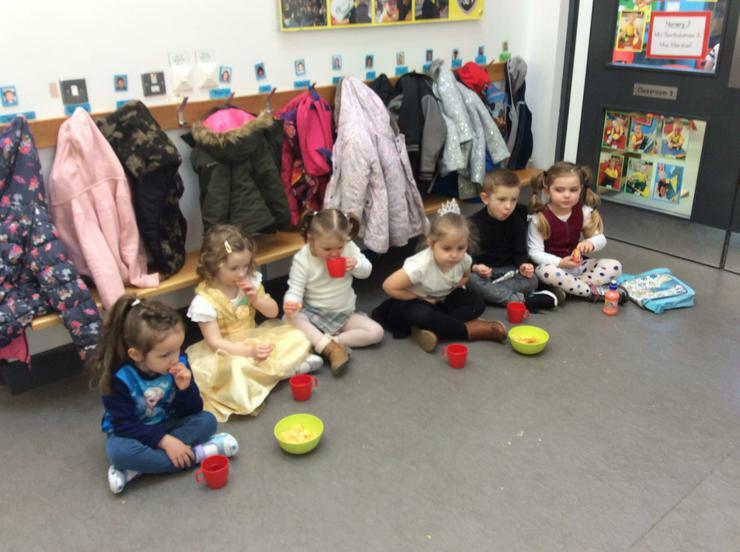 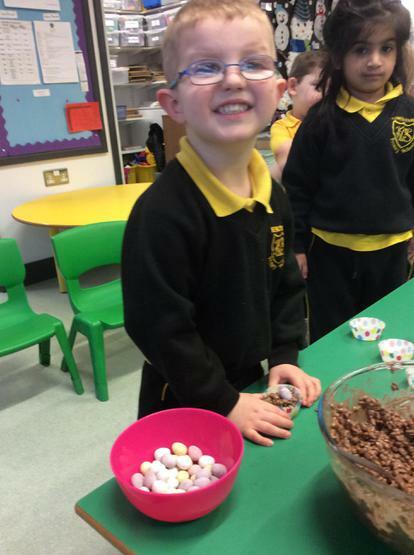 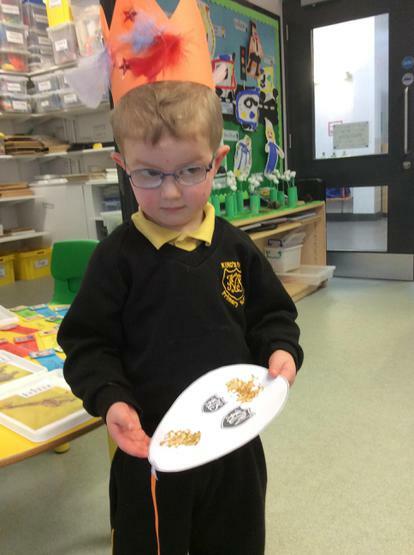 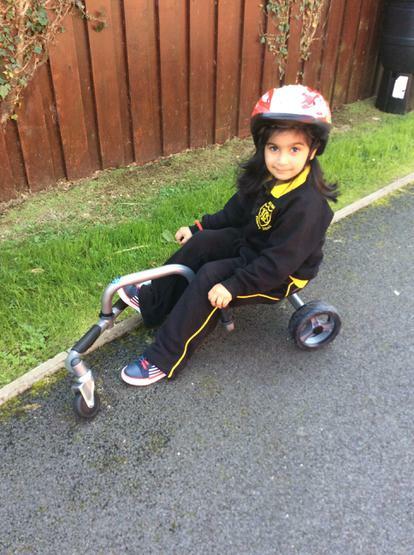 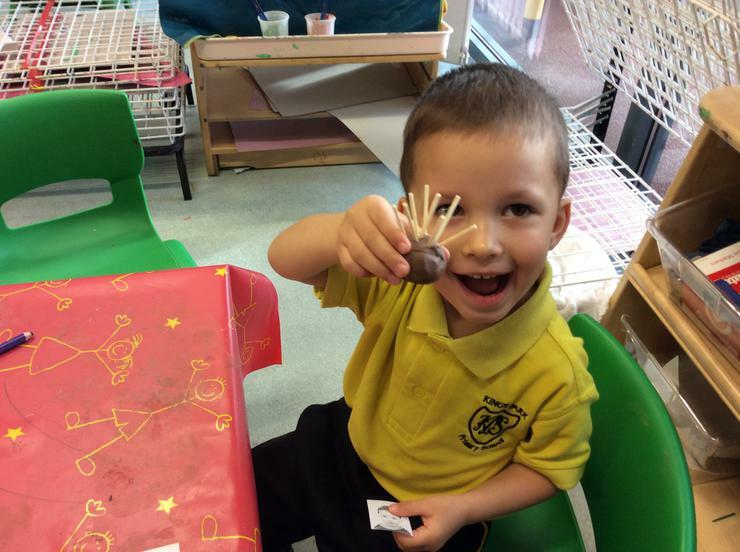 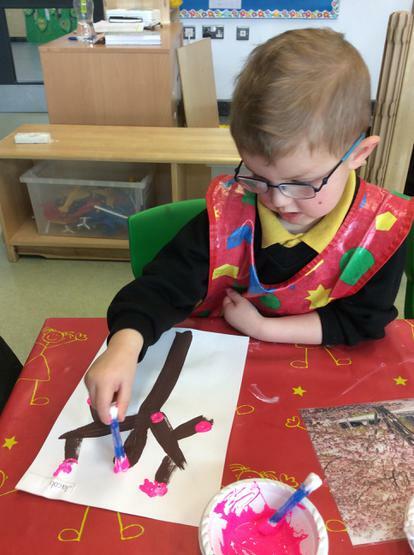 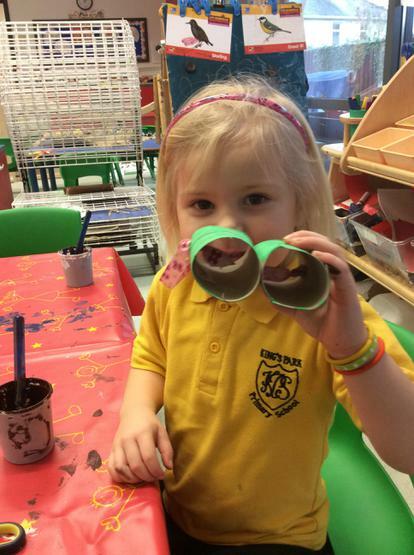 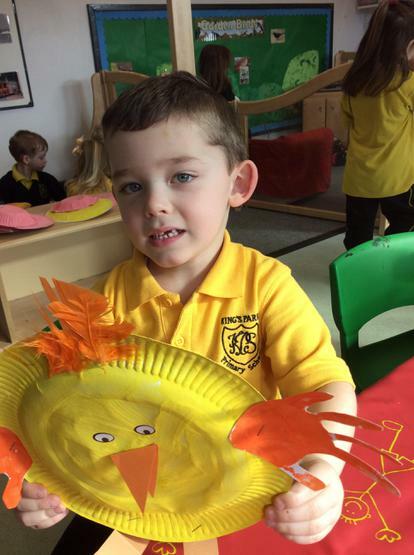 They have enjoyed participating in a wide range of bird related activities including making paper plate birds, feather painting, making 3D models of birds, making bird food, going a walk to look for birds using our homemade binoculars and of course making some chocolate birds nests. 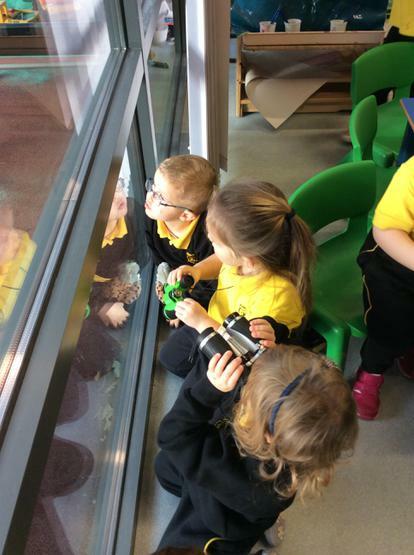 At the end of the month we will enjoy a visit from the RSPB so make sure to have a look at the photos in our Educational Visits section. 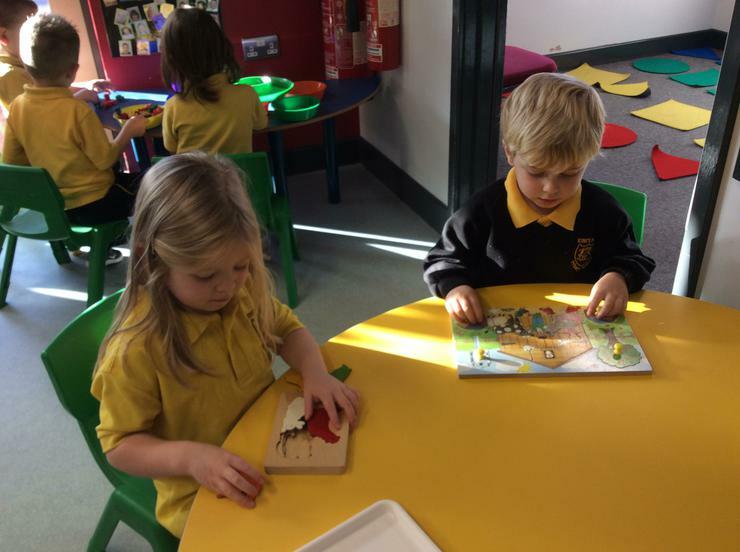 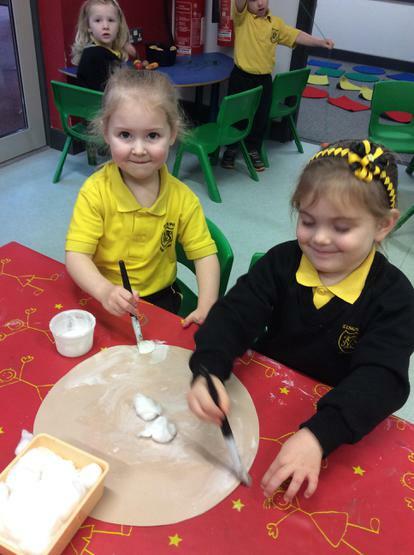 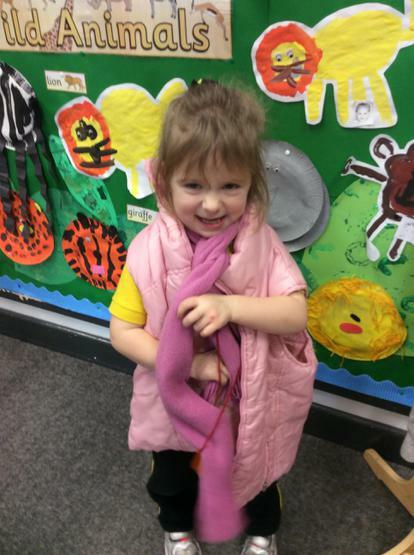 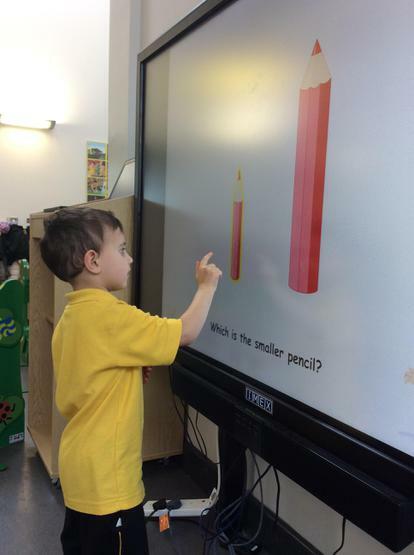 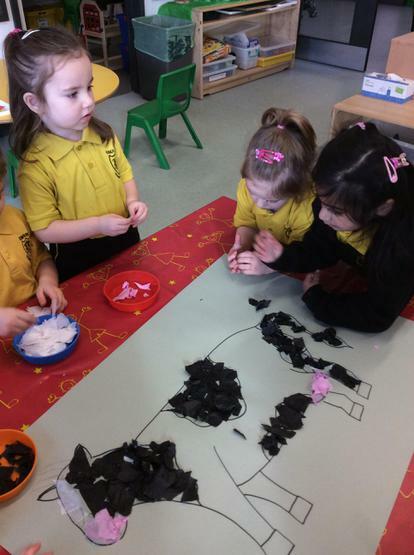 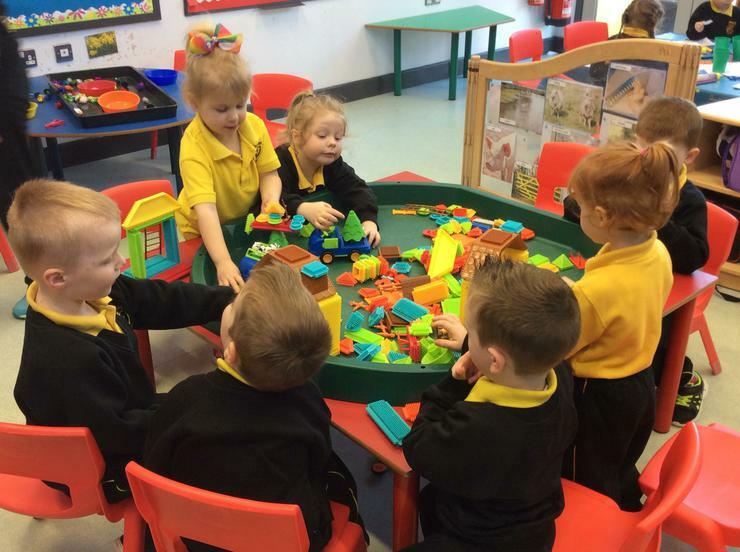 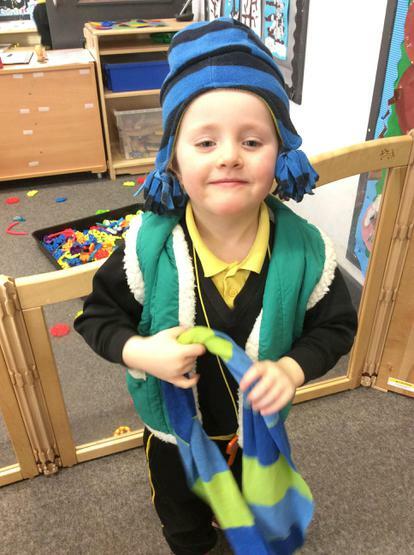 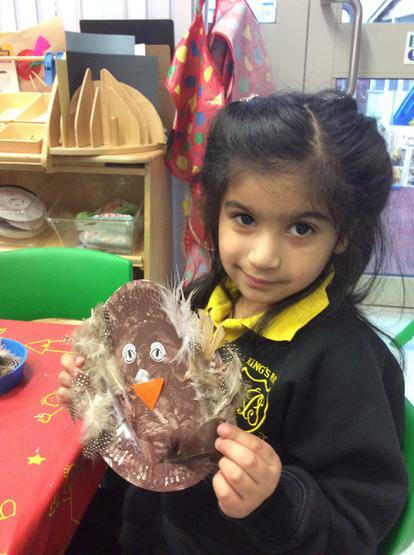 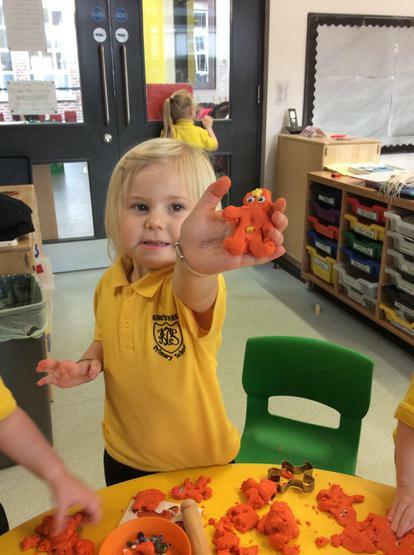 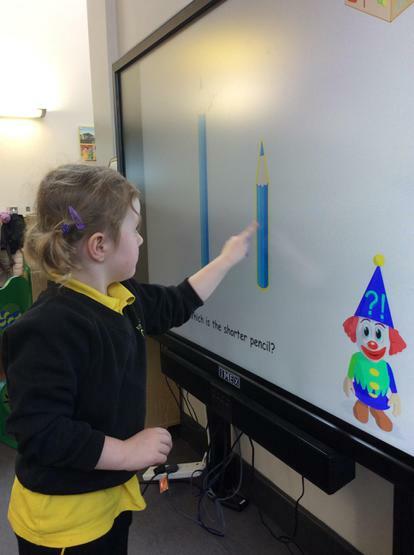 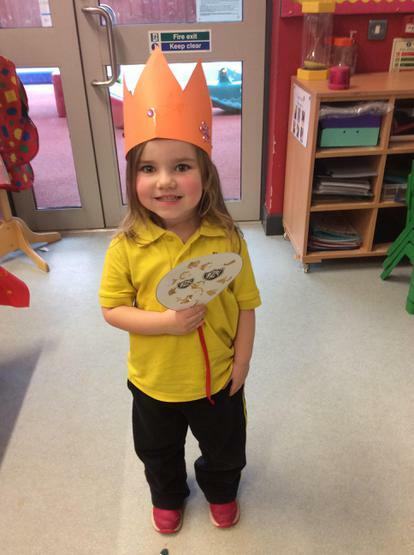 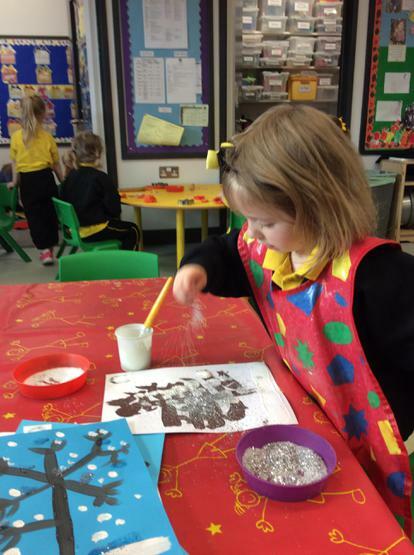 In December we have been learning about the topics of Winter and of course Christmas. 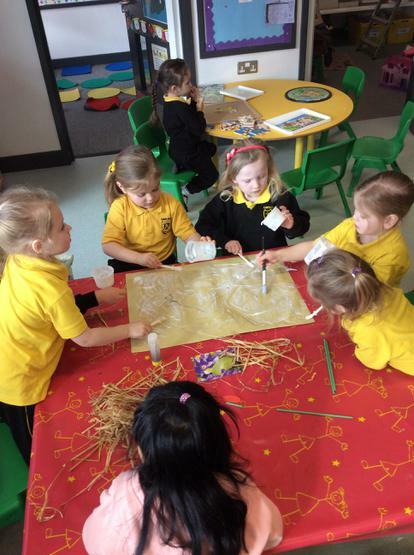 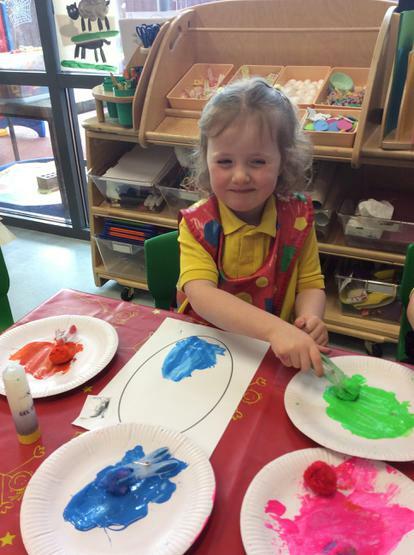 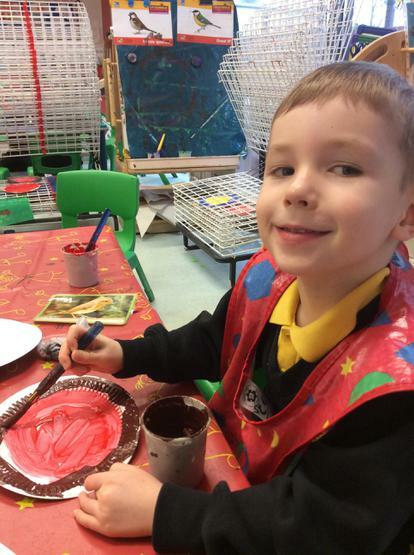 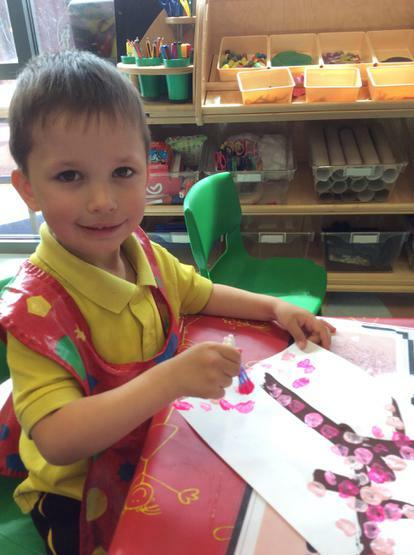 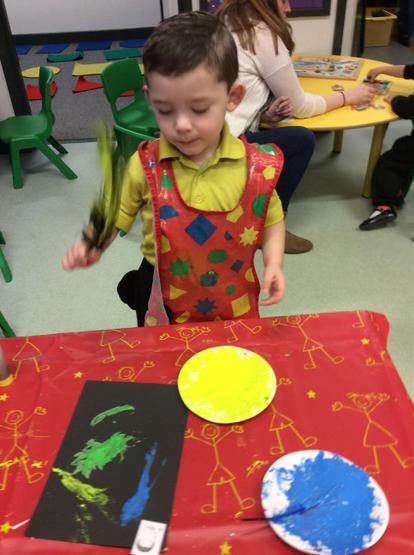 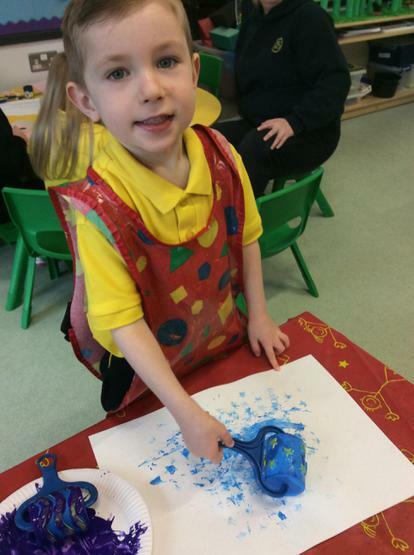 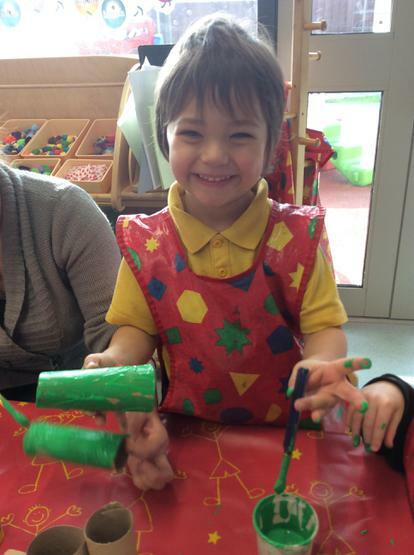 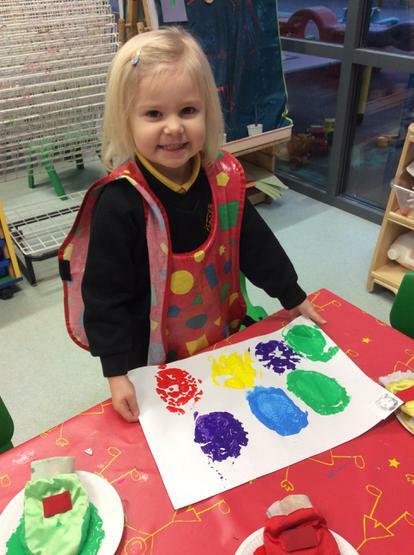 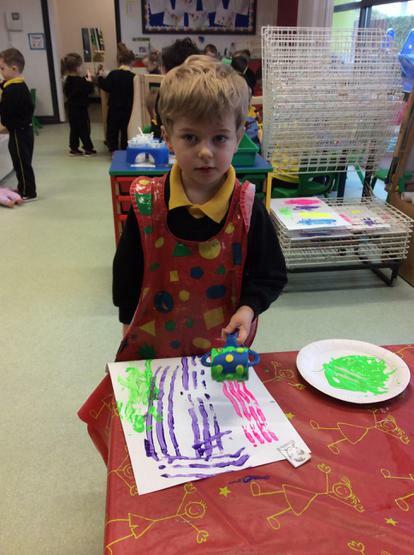 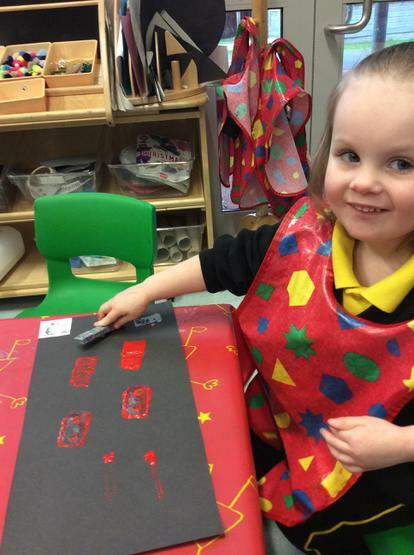 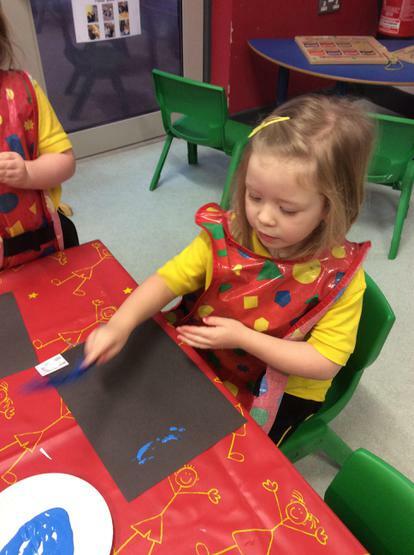 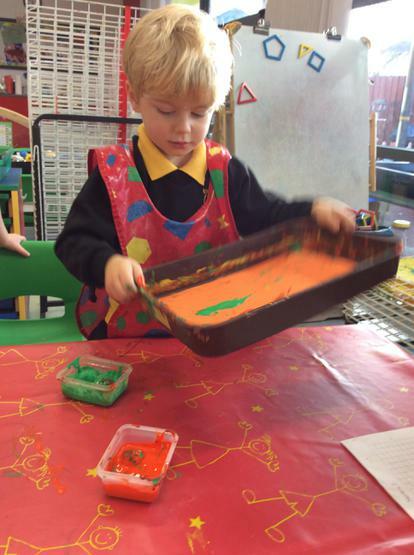 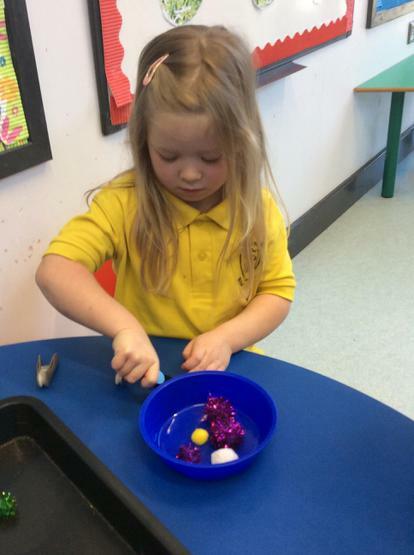 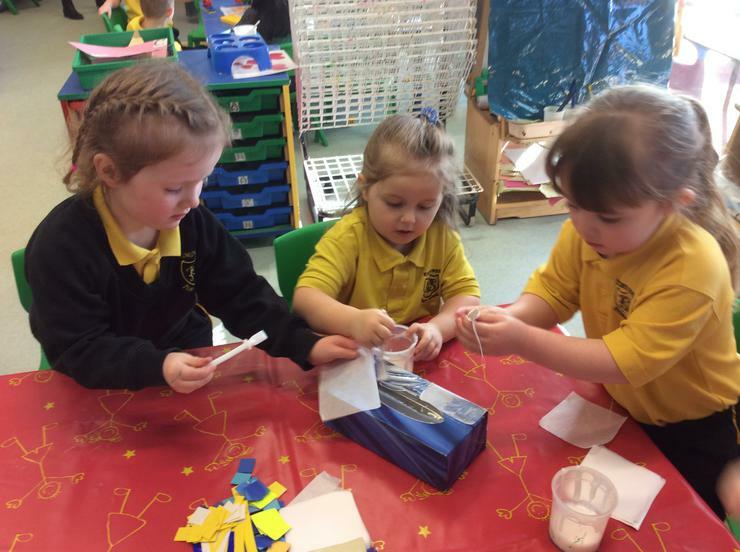 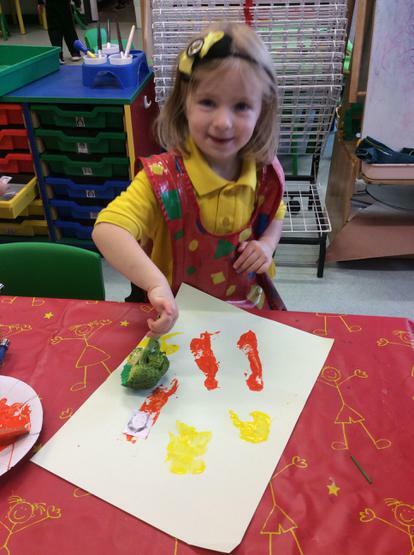 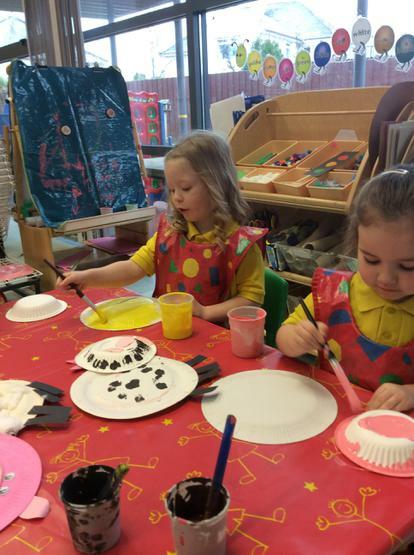 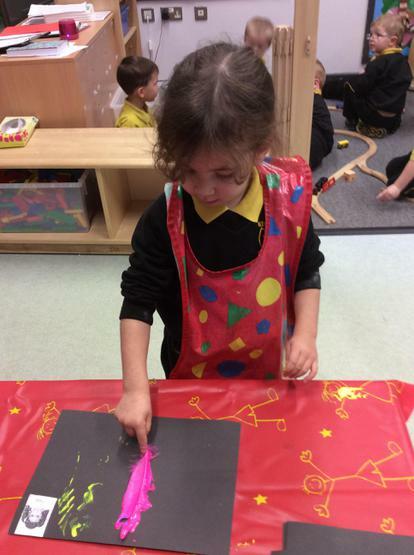 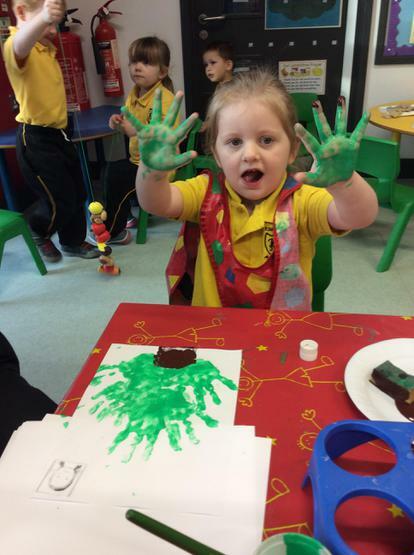 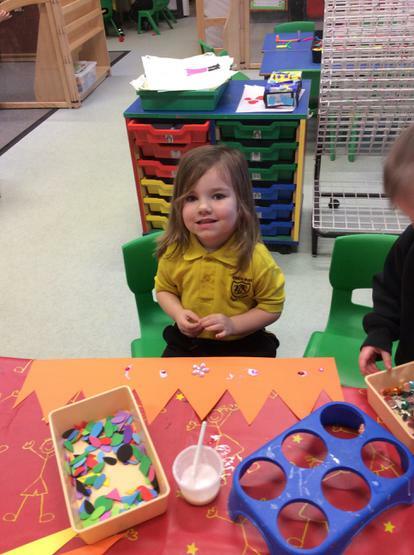 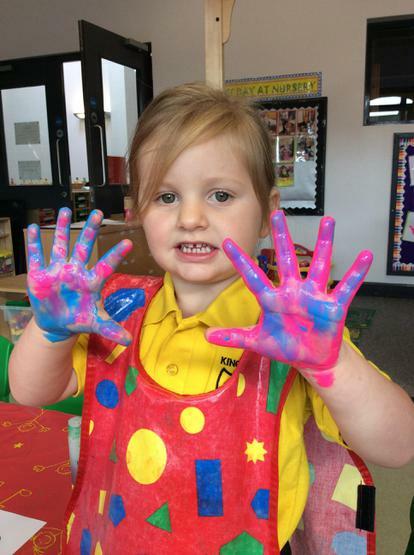 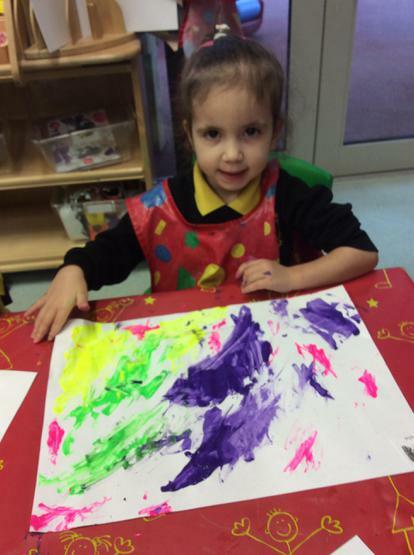 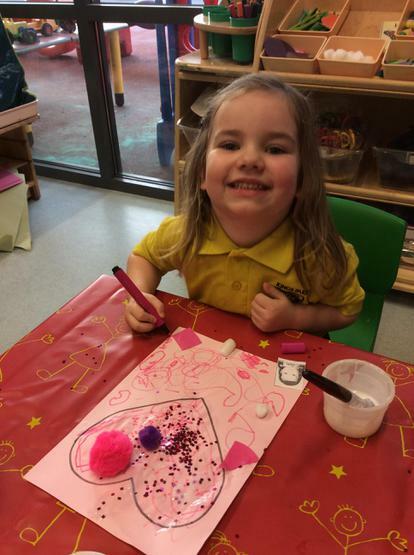 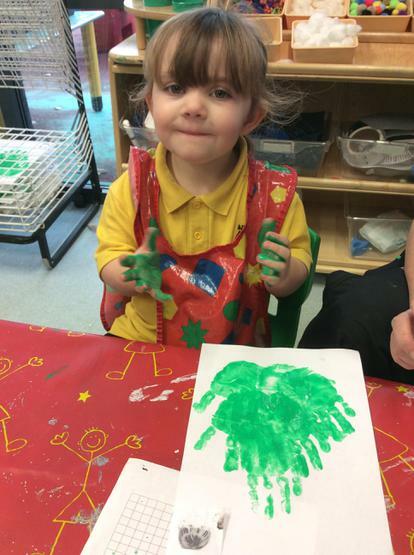 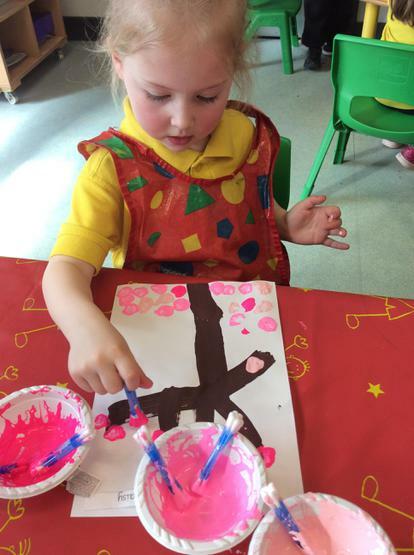 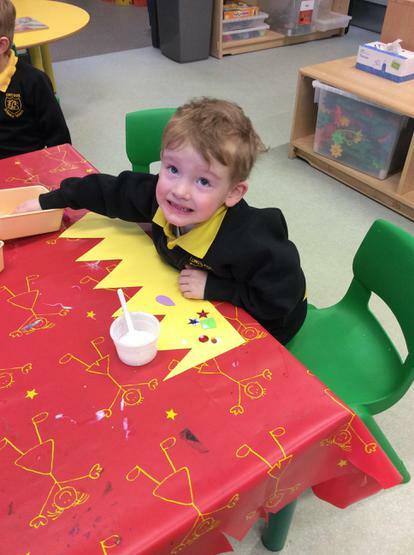 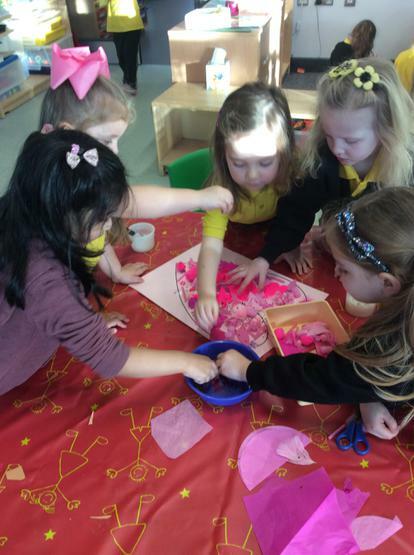 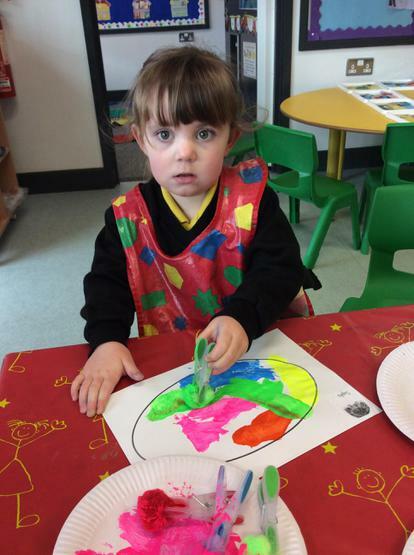 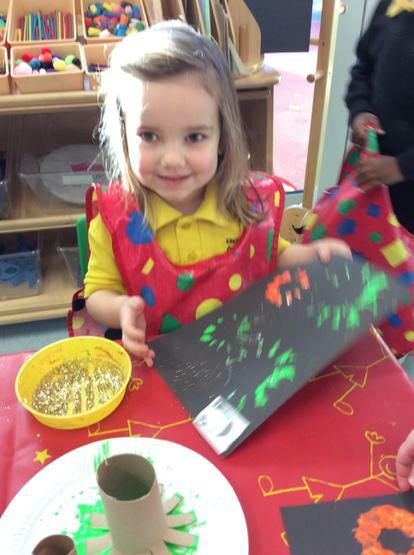 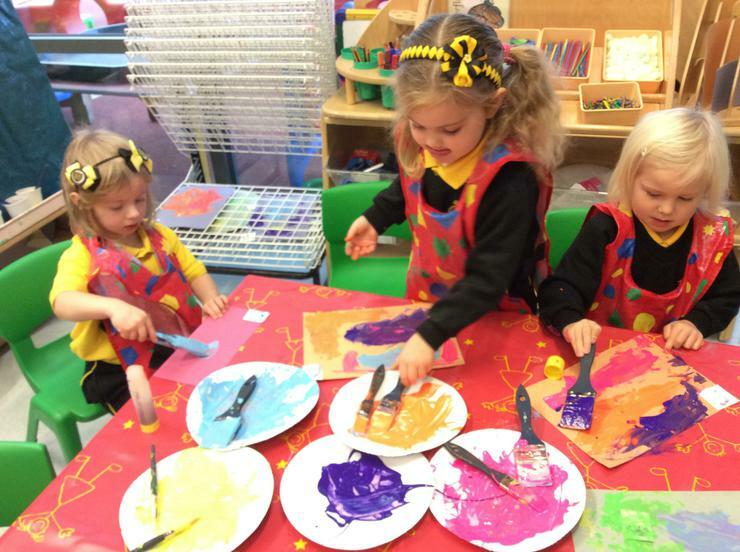 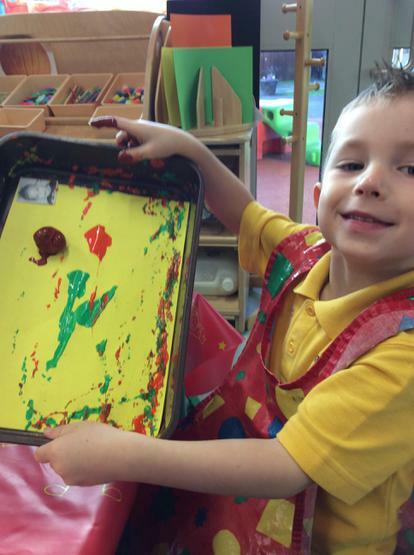 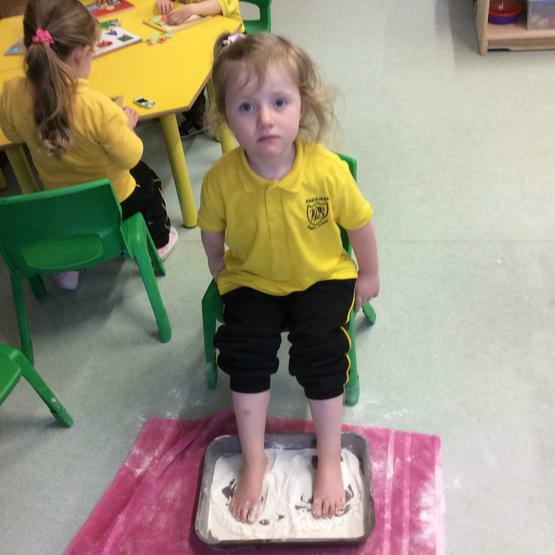 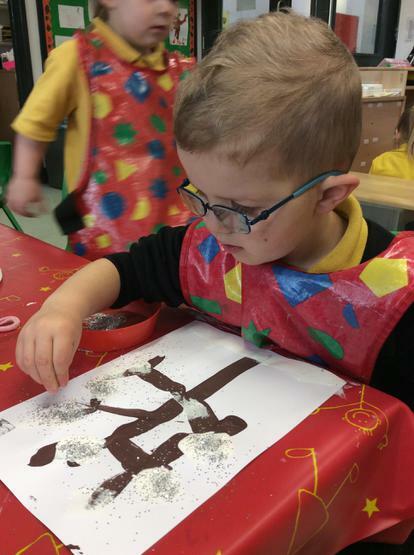 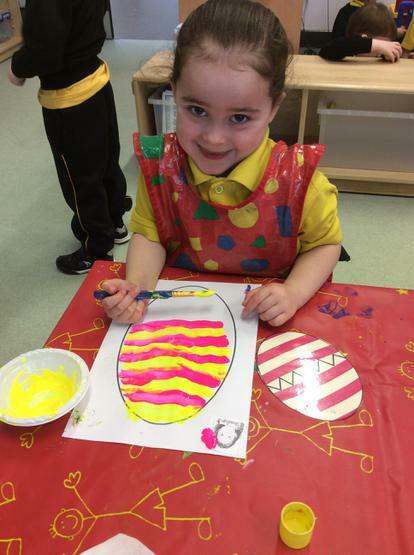 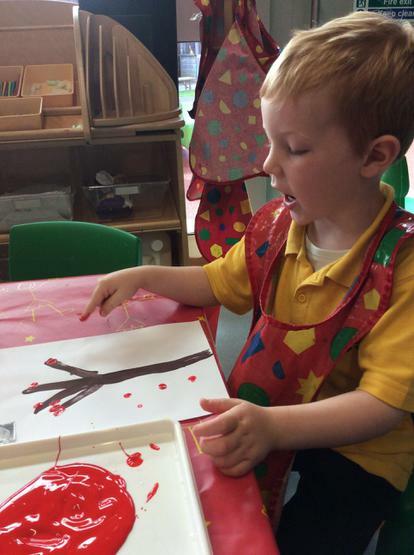 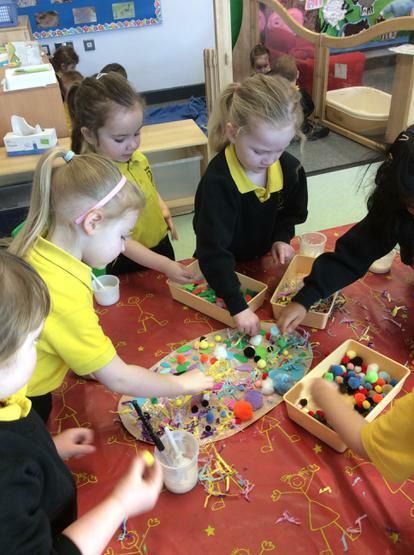 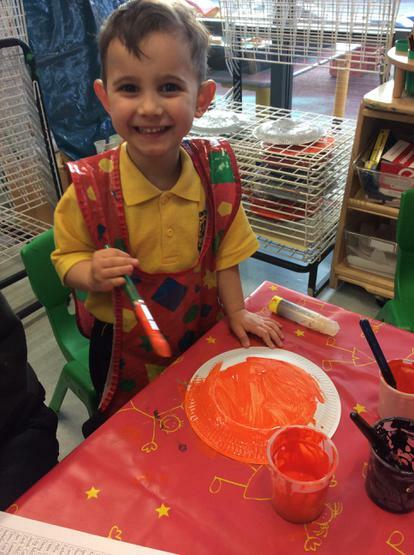 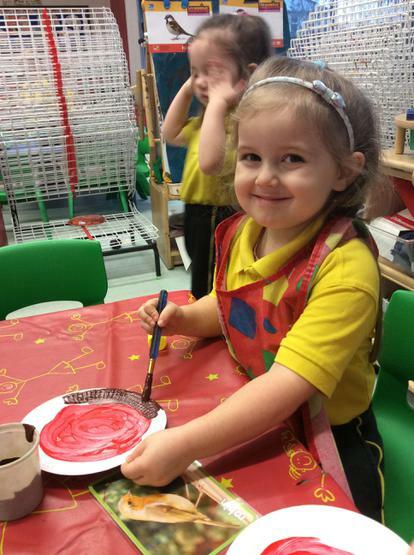 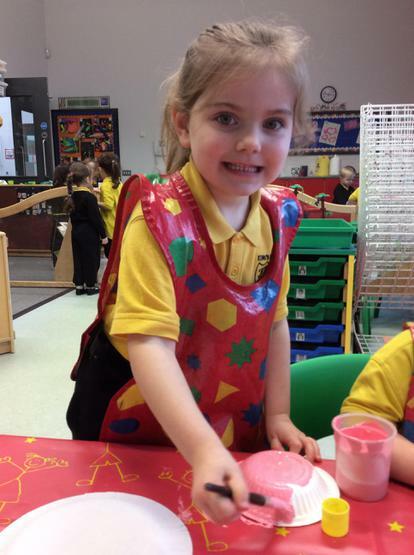 We have had great fun completing lots of different art activities and have been loving using lots of glitter! 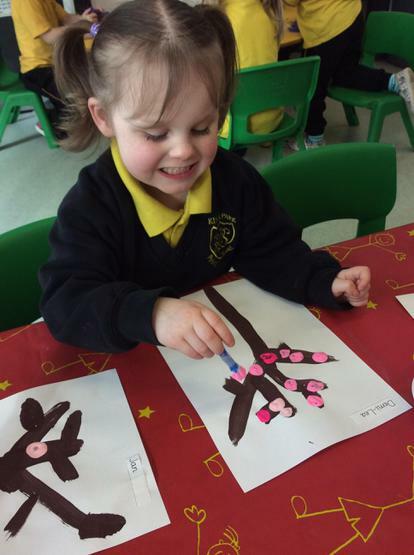 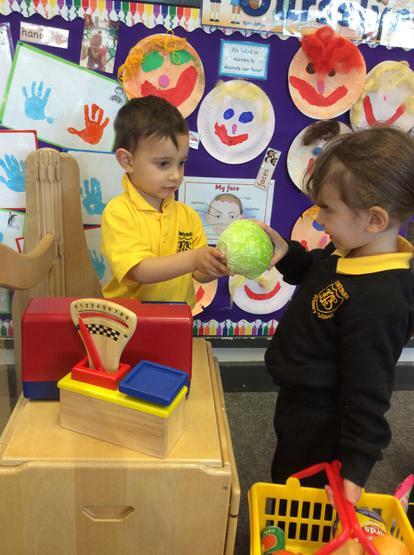 We enjoyed decorating our Christmas tree in Nursery 2 and everyone got their turn to hang on a bauble. 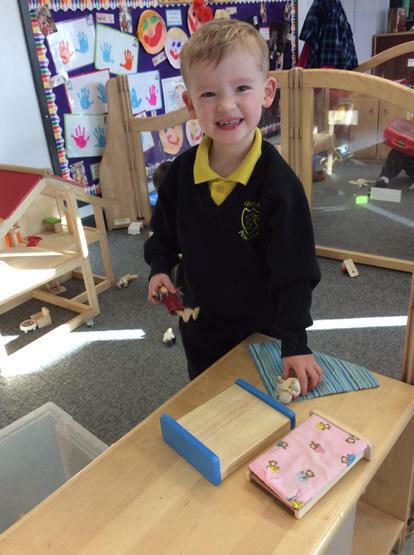 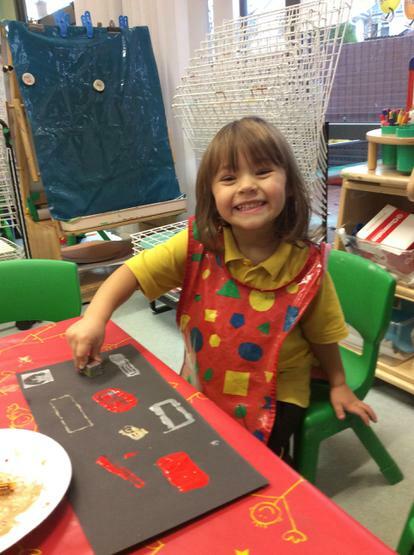 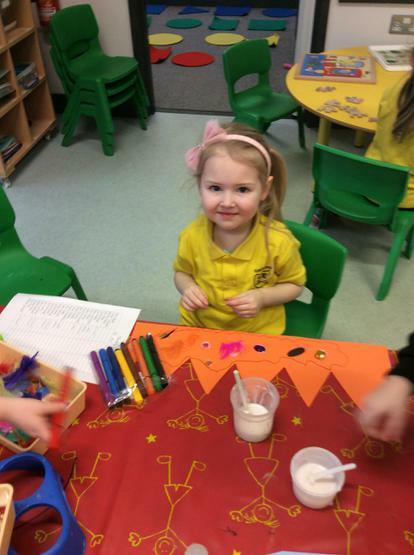 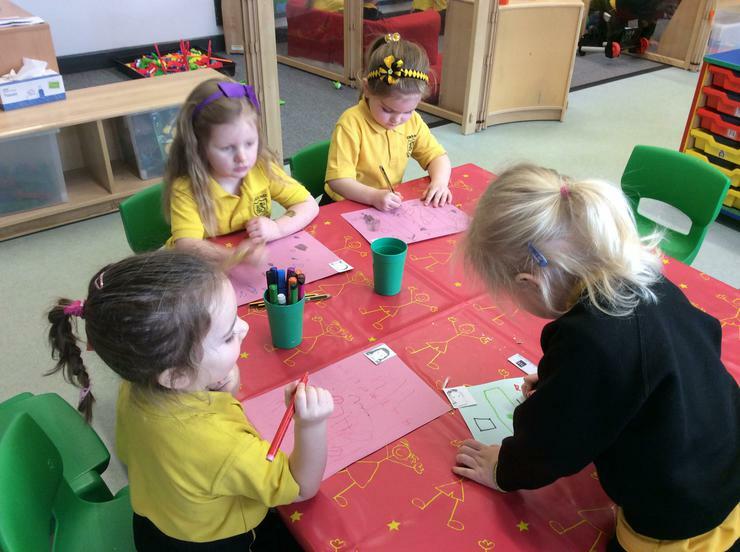 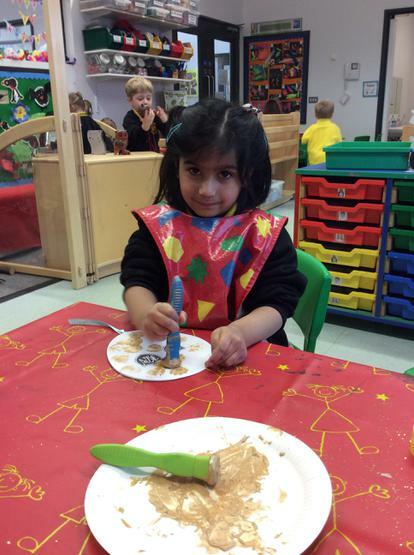 We also had our yummy Christmas dinner in Nursery with crackers and special tablecloths. 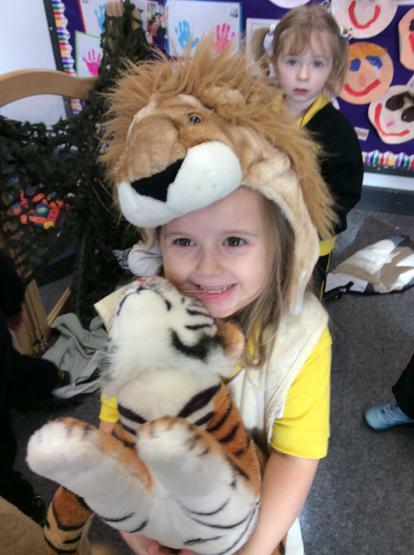 We have been enjoying lots of Christmas singing and even went to the assembly hall to see the P3s production of 'Bethlehem's Got Talent!' 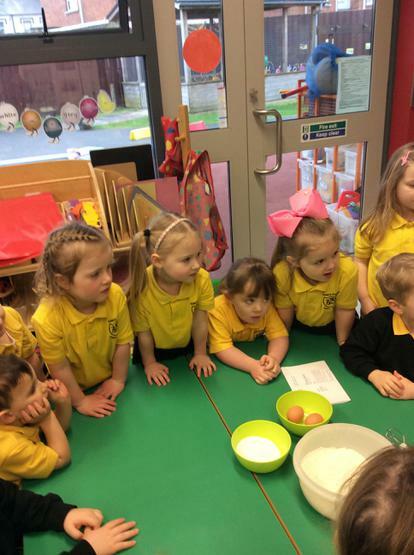 We also had our visit to Streamvale Farm so make sure you take a look at the photos on our Educational Visit page. 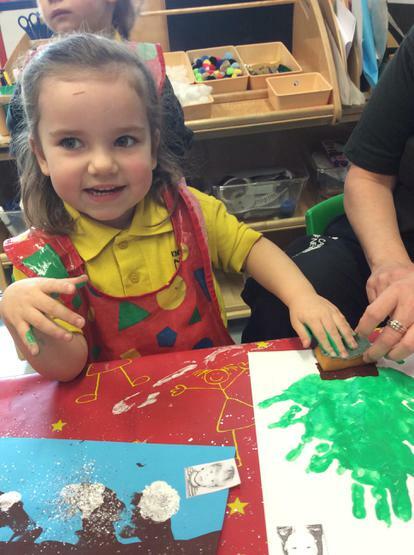 Happy Christmas to everyone!